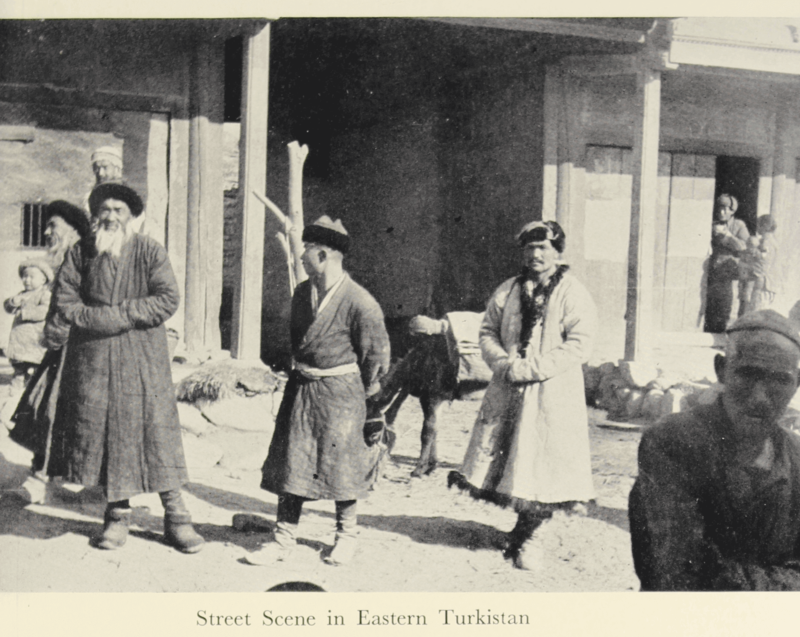 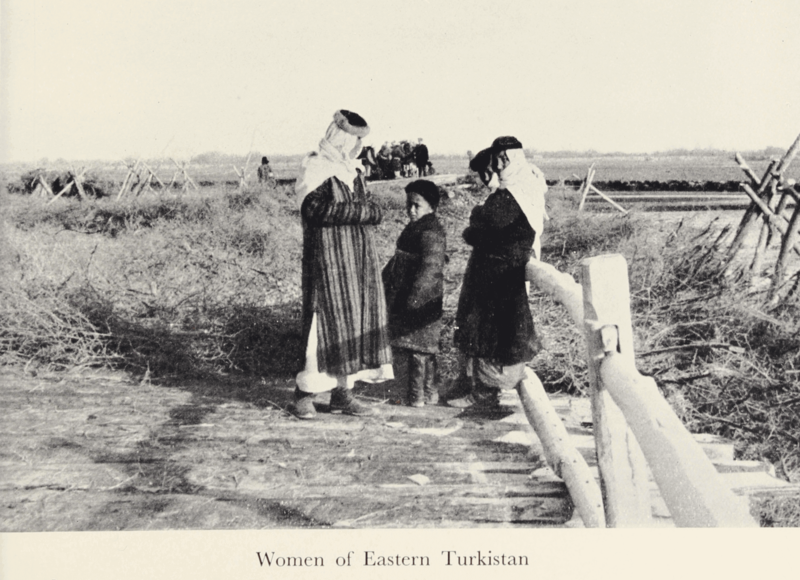 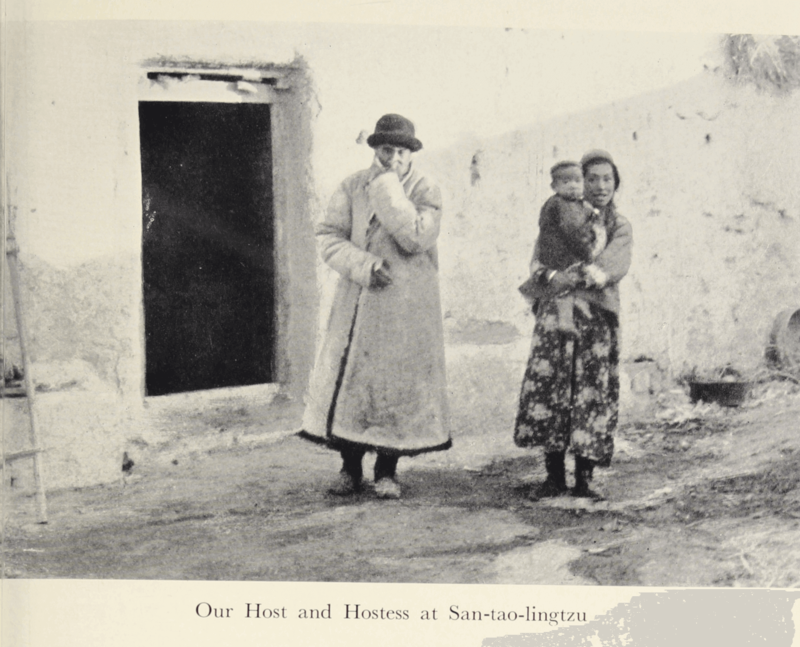 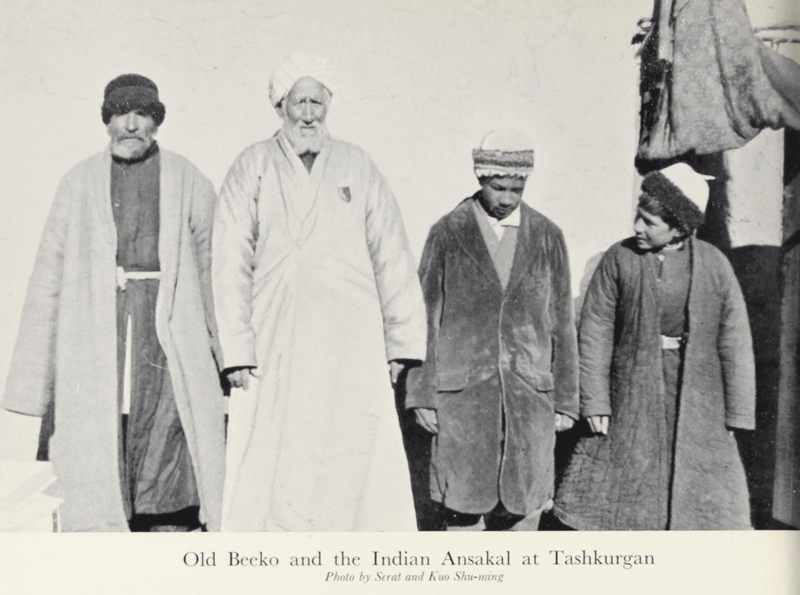 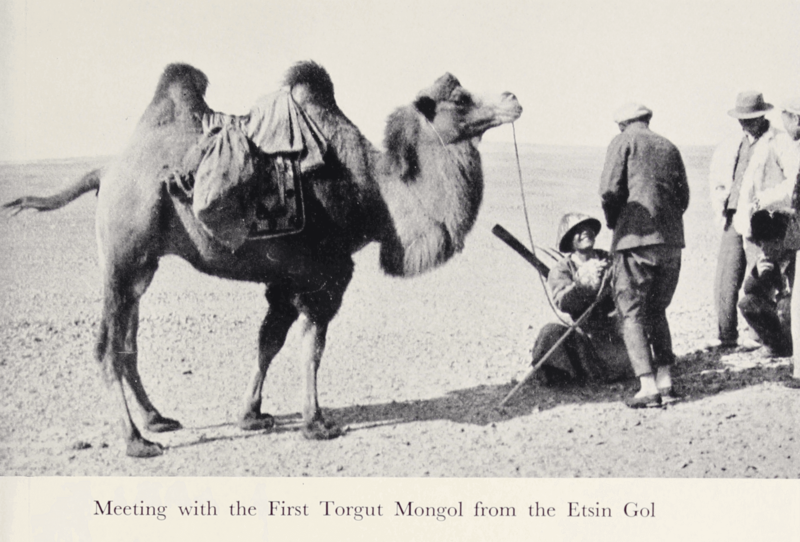 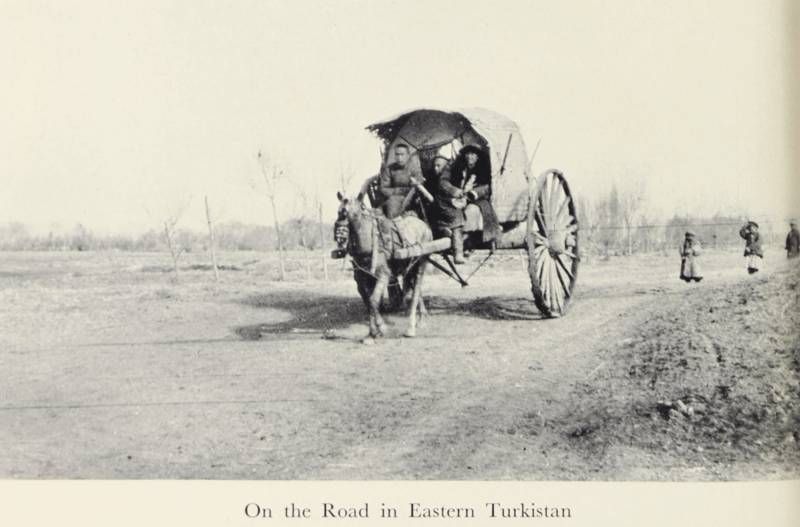 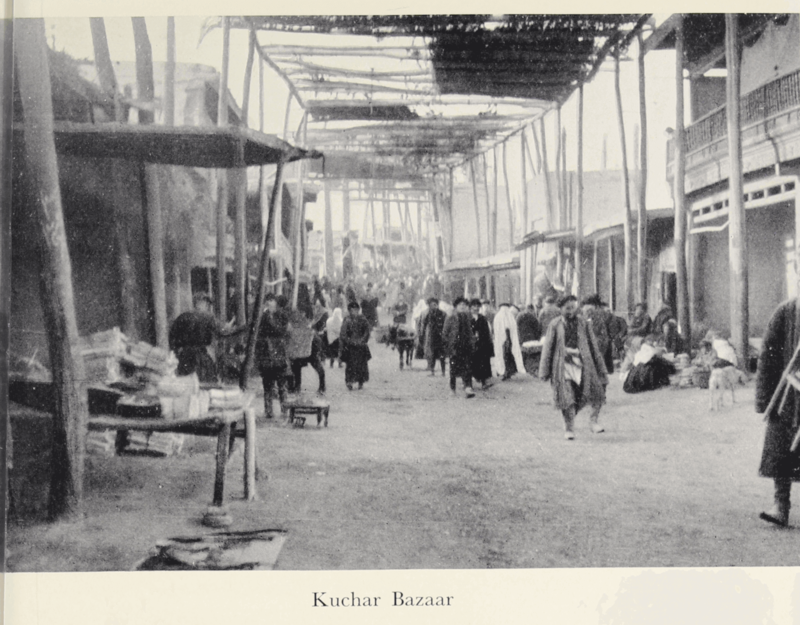 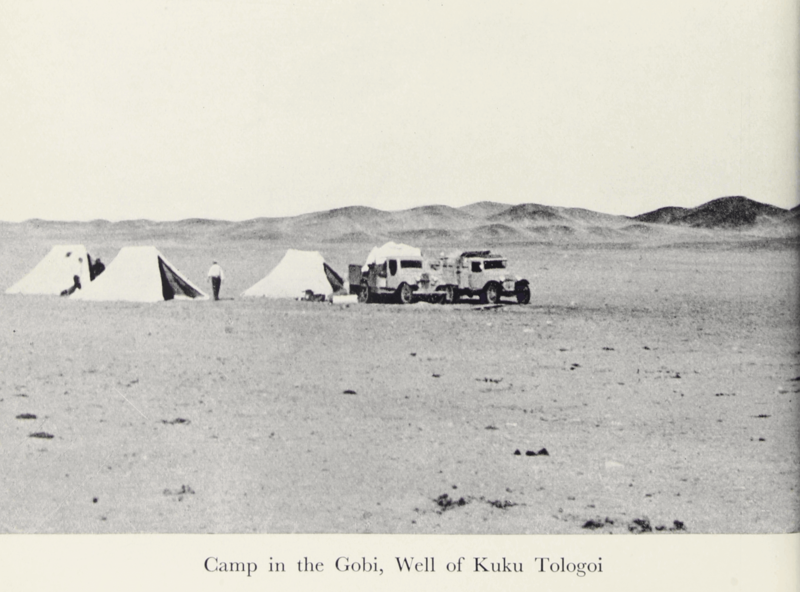 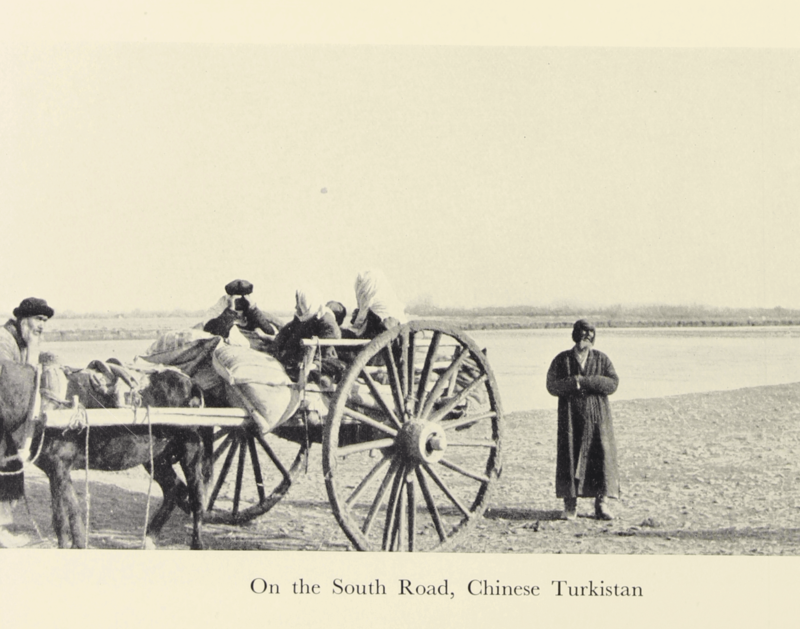 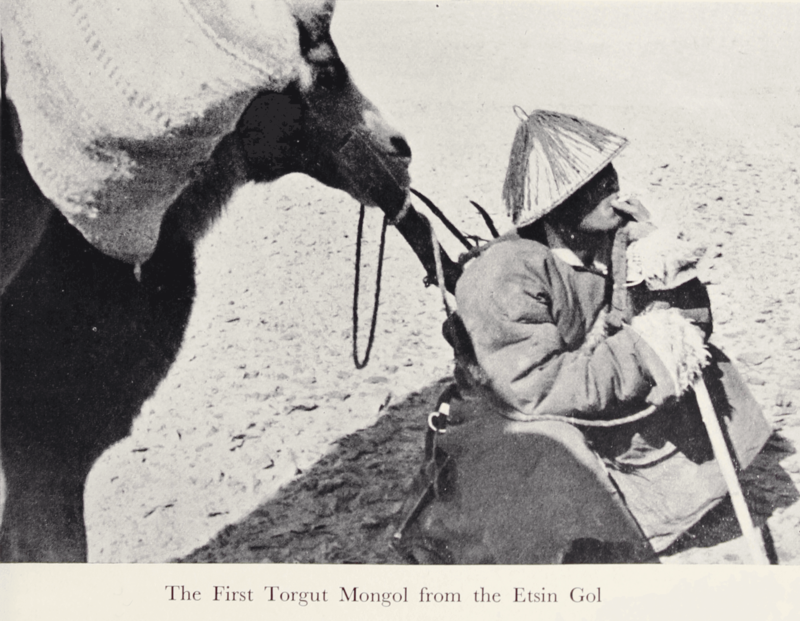 Journey to Turkistan is a detailed account of the practical aspects of traveling through Eastern Turkestan in the 1930s. 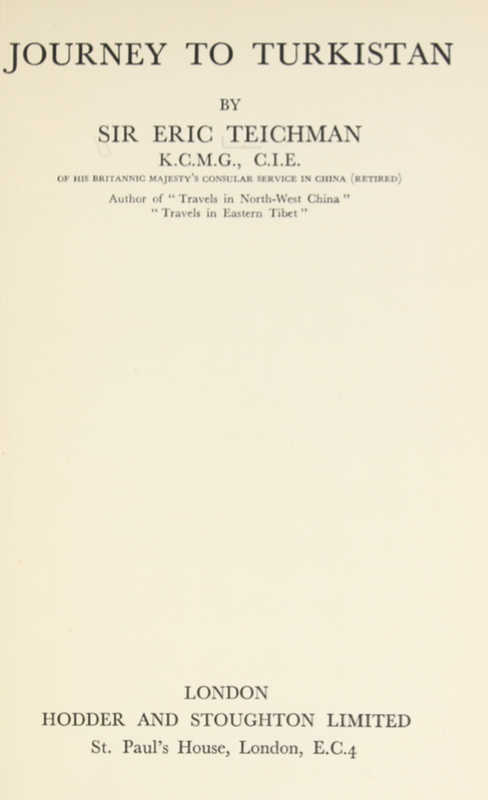 The author, Sir Eric Teichman, gives comprehensive descriptions of roads, distances, transportation, vehicles, as well as necessary equipment and supplies, giving the reader a feeling of being a fellow traveler. 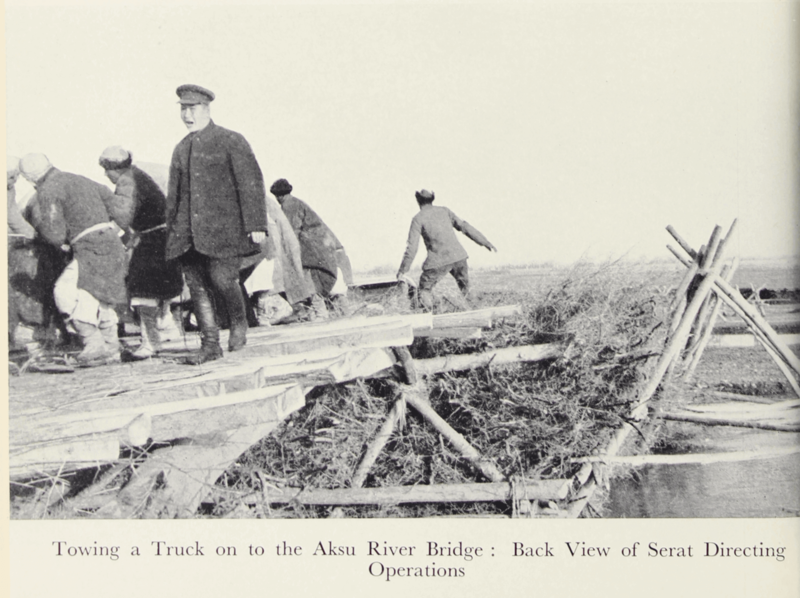 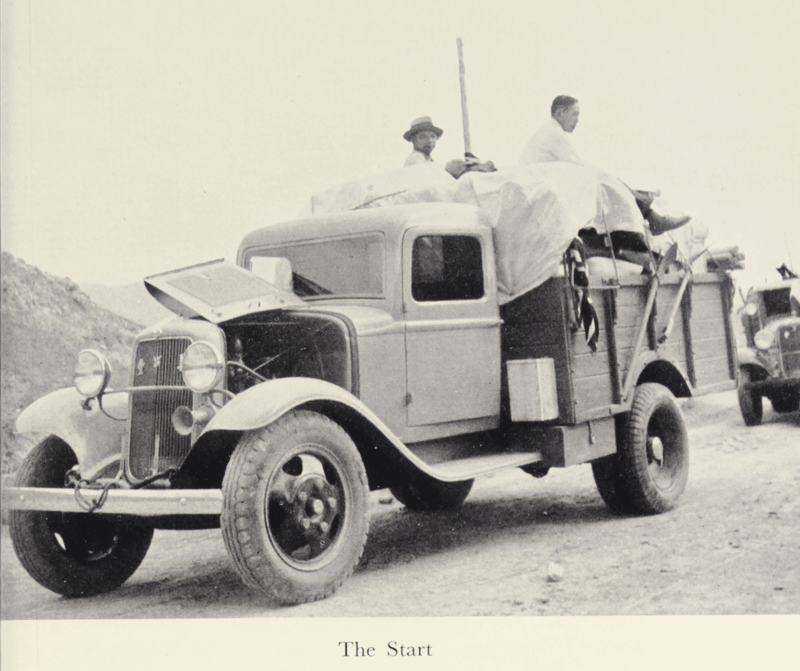 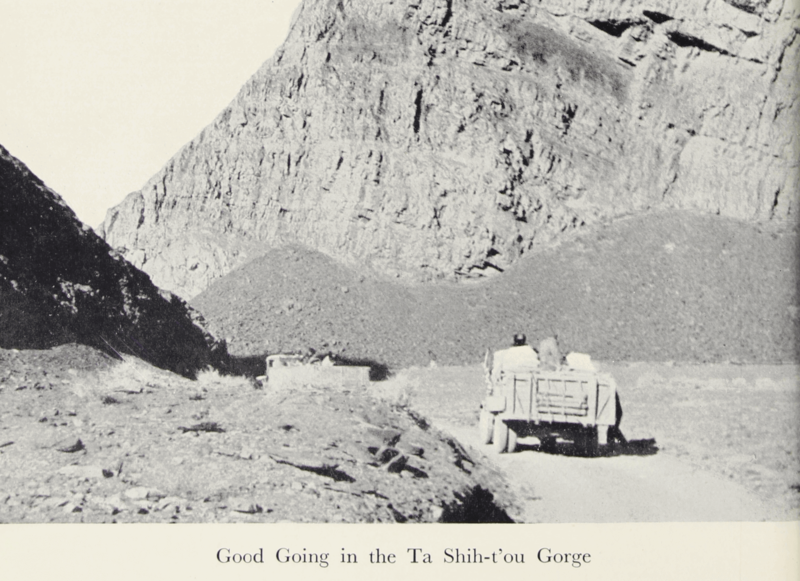 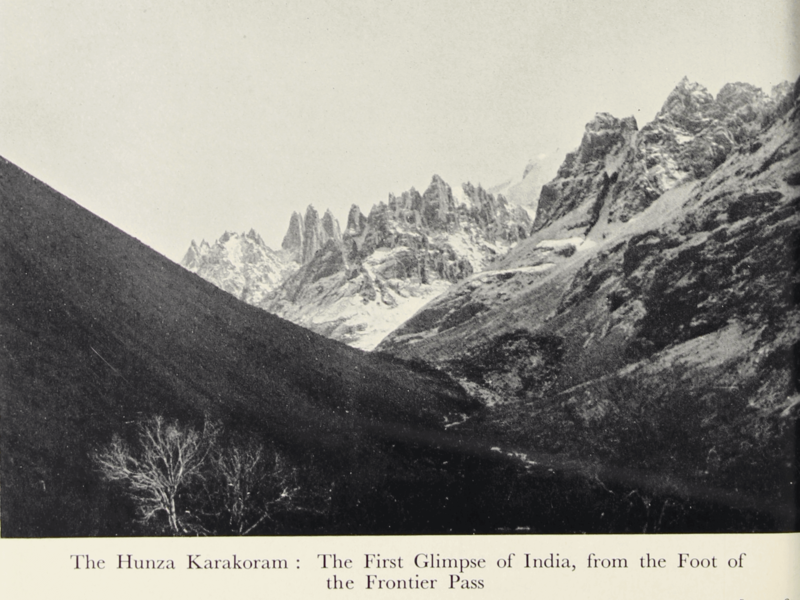 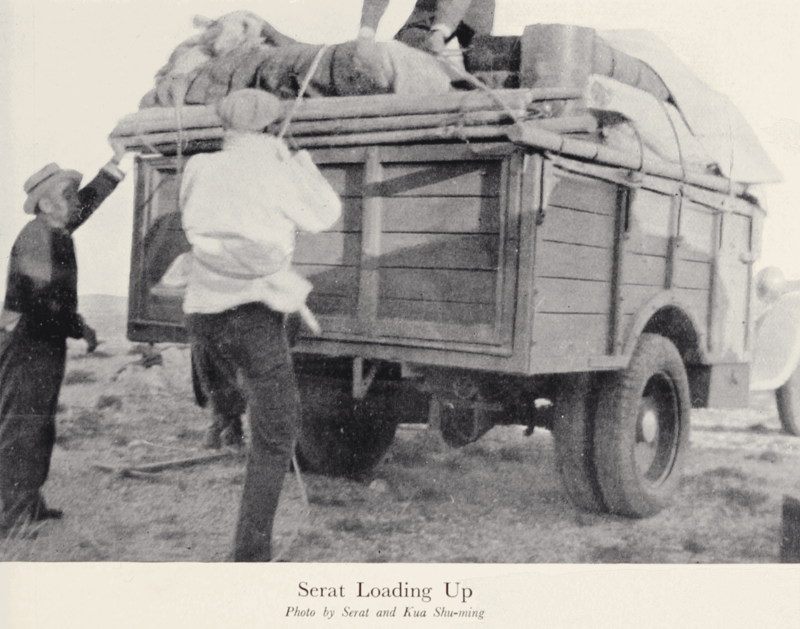 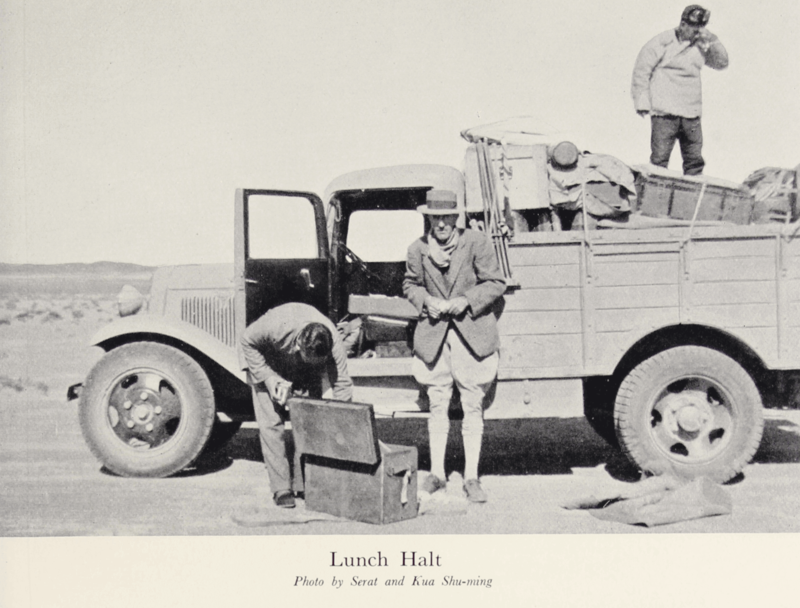 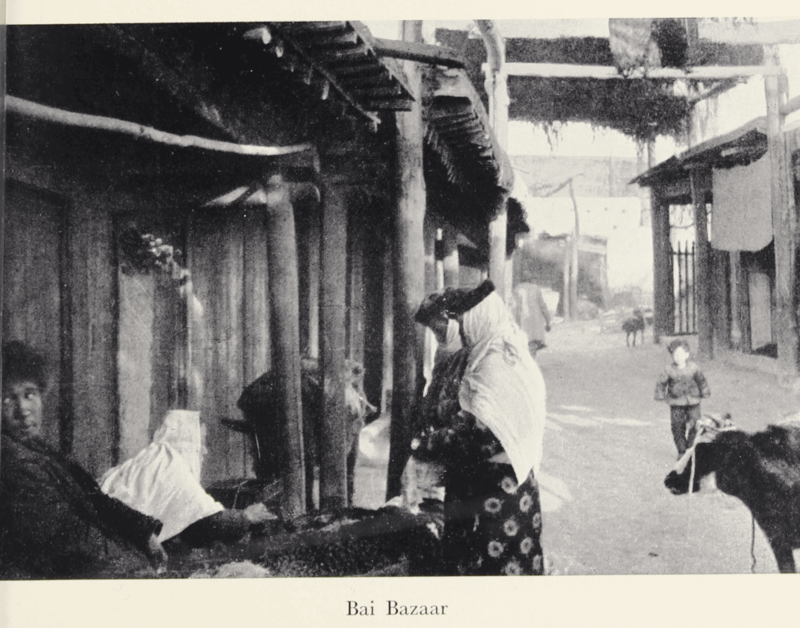 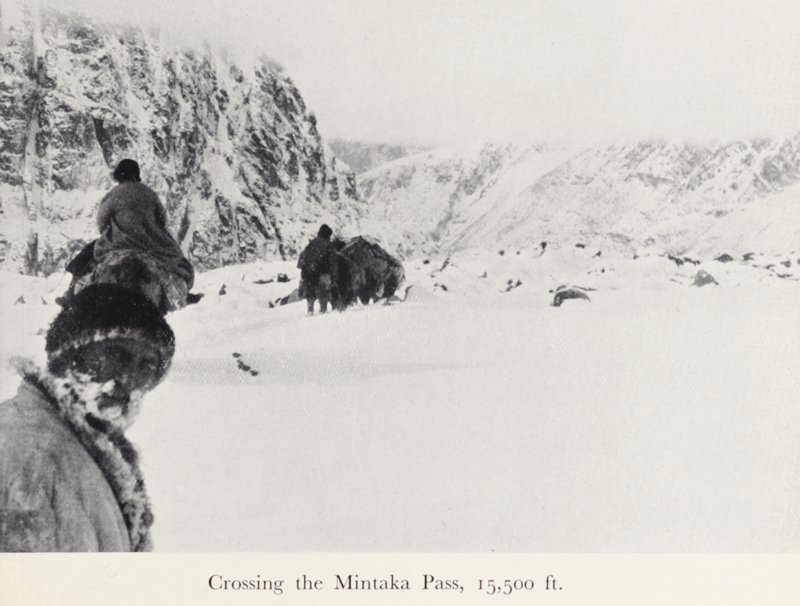 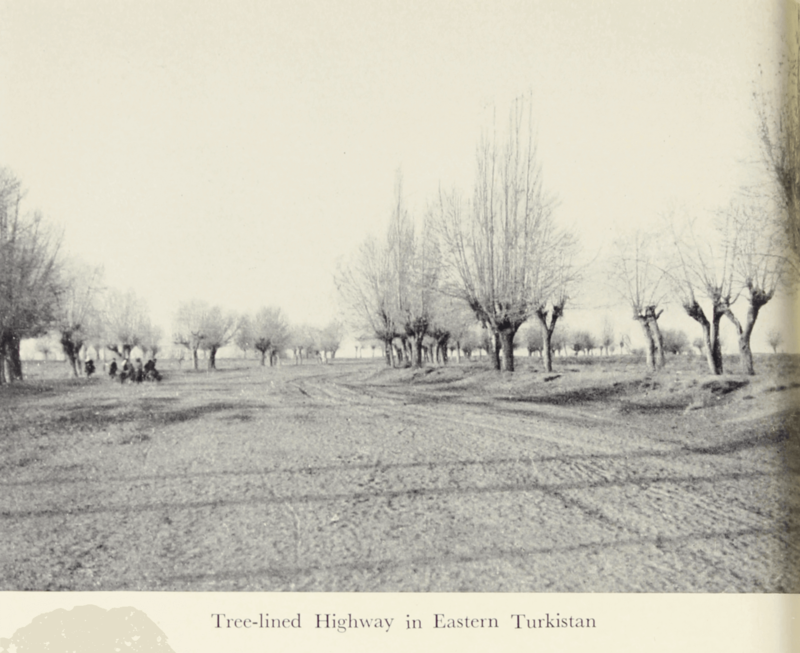 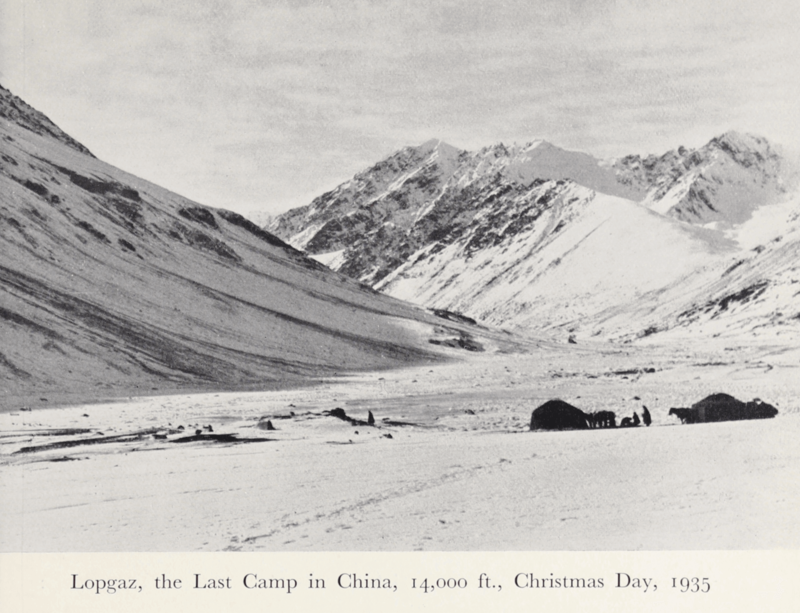 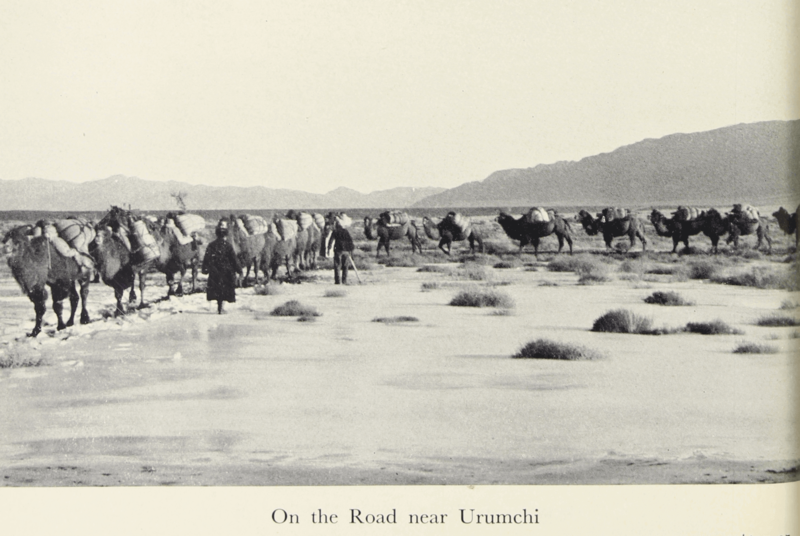 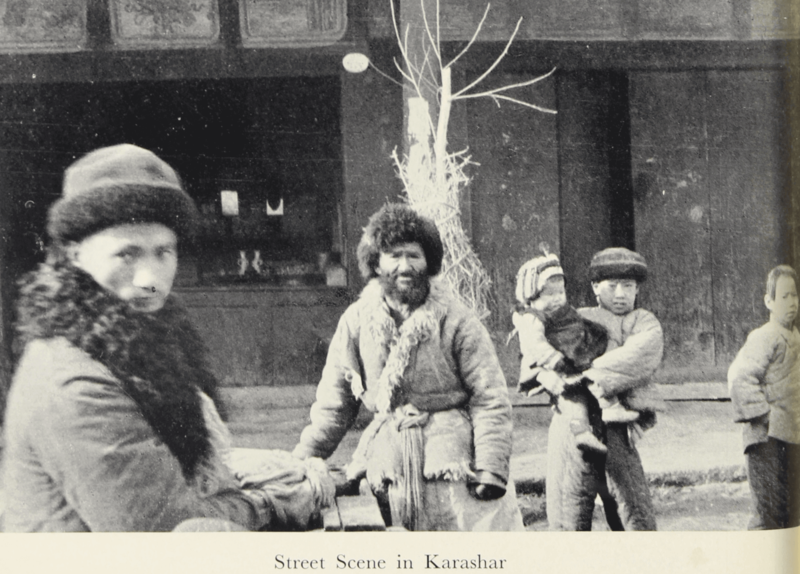 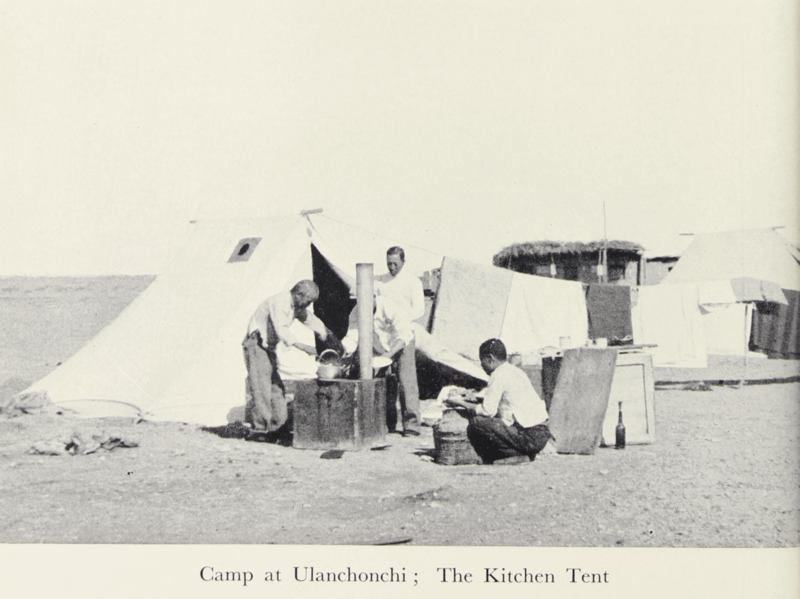 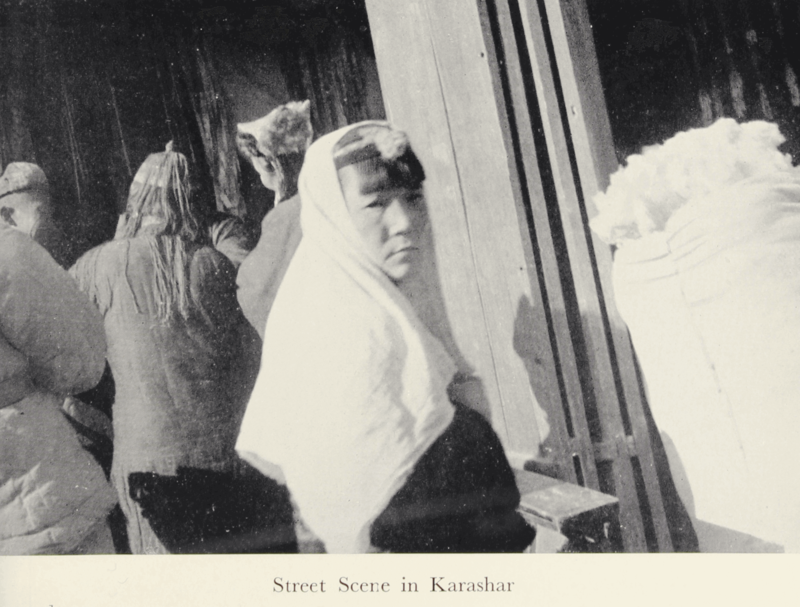 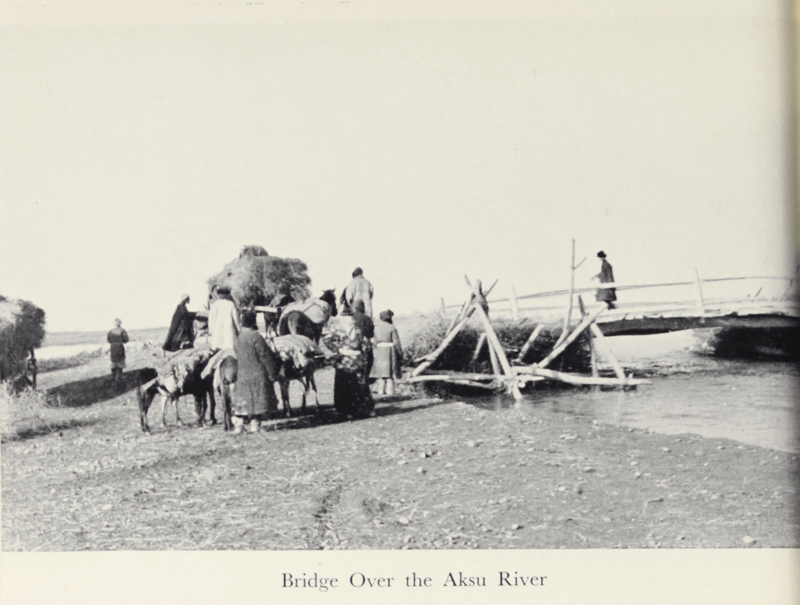 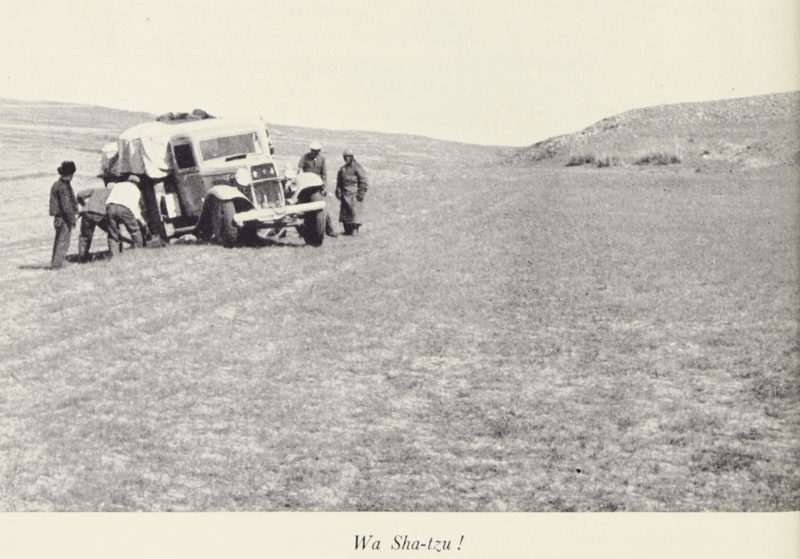 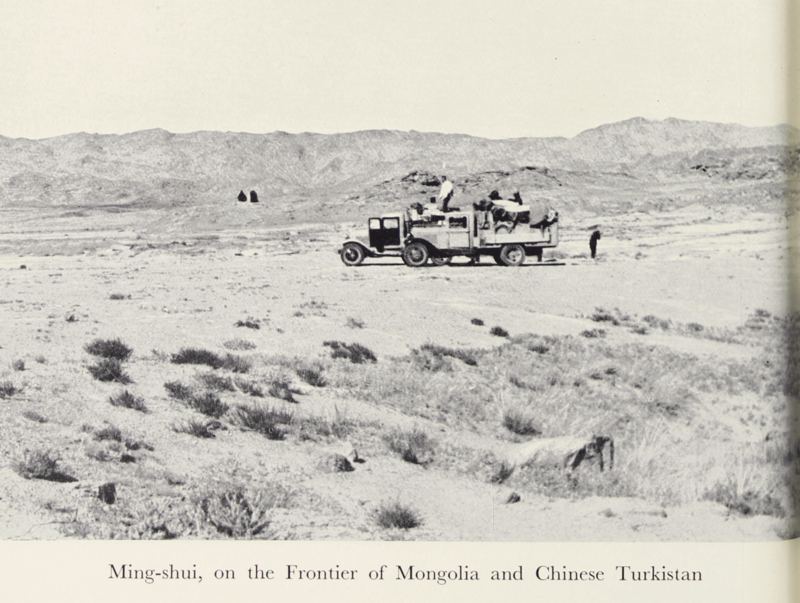 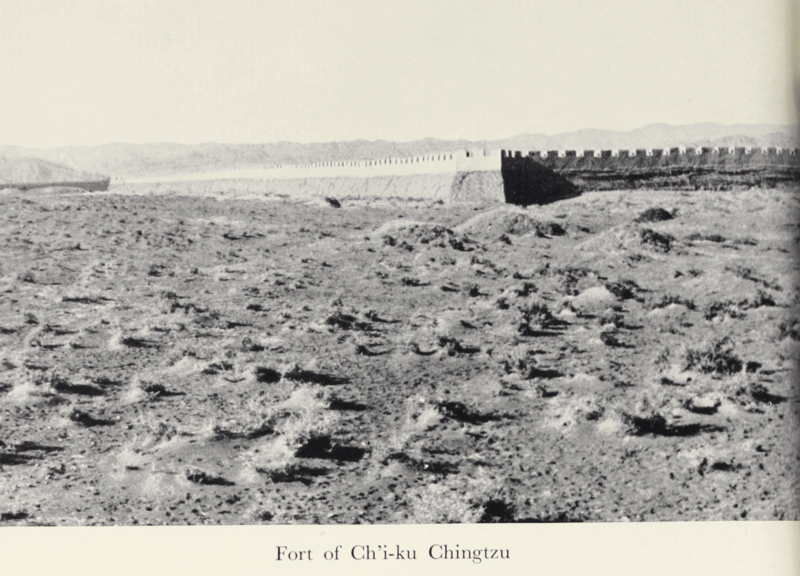 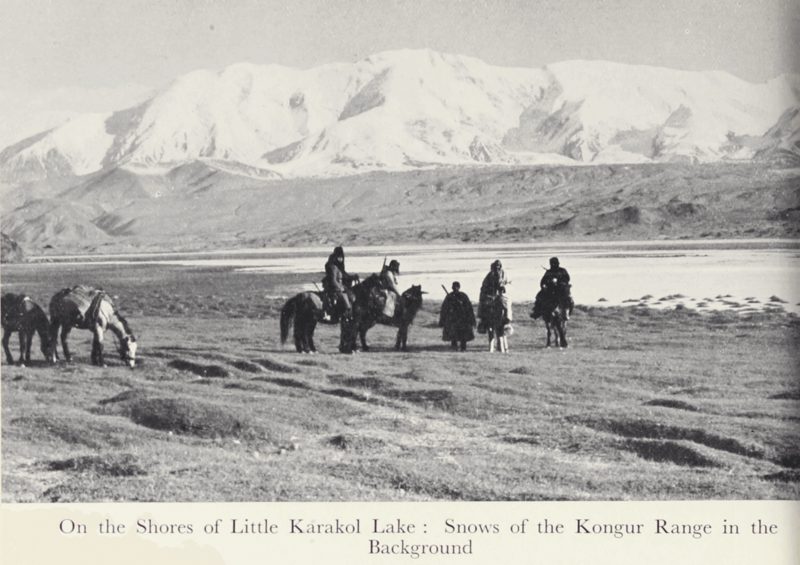 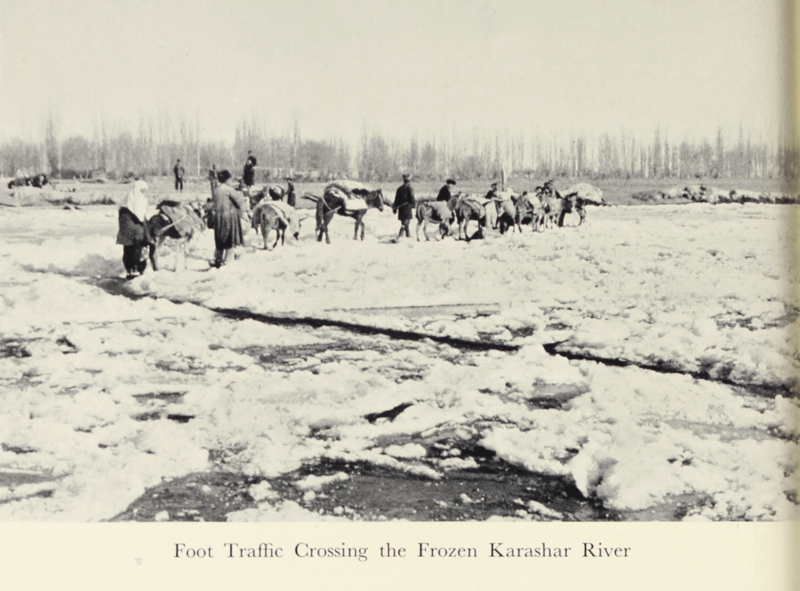 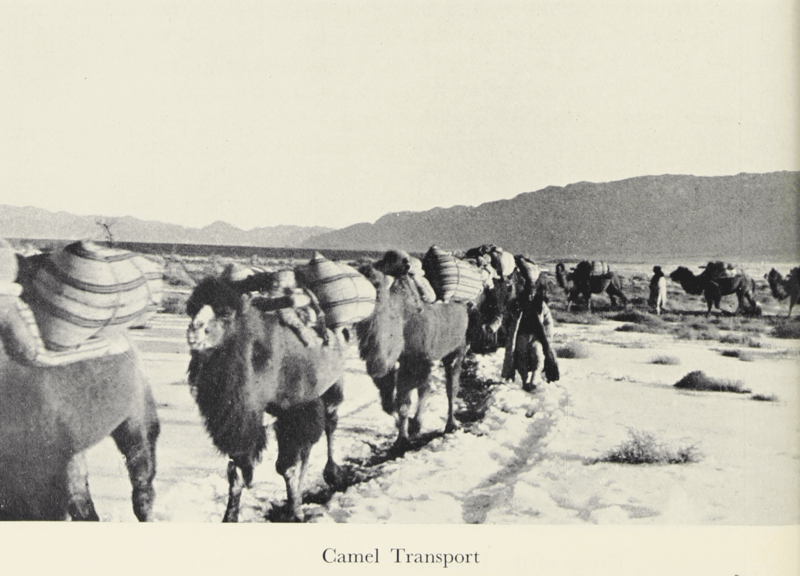 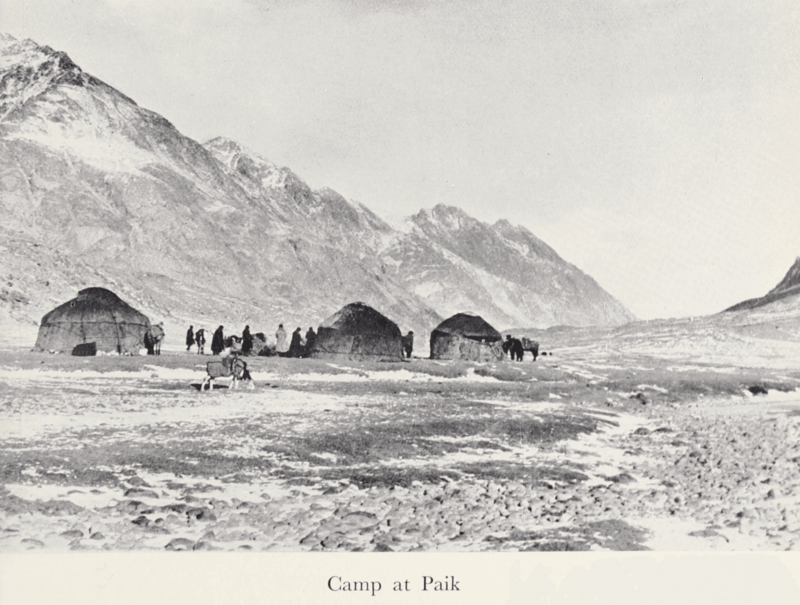 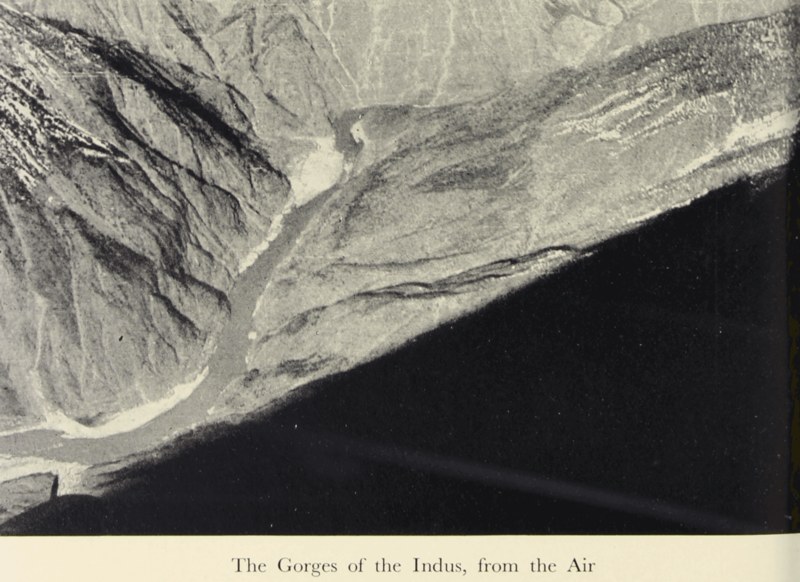 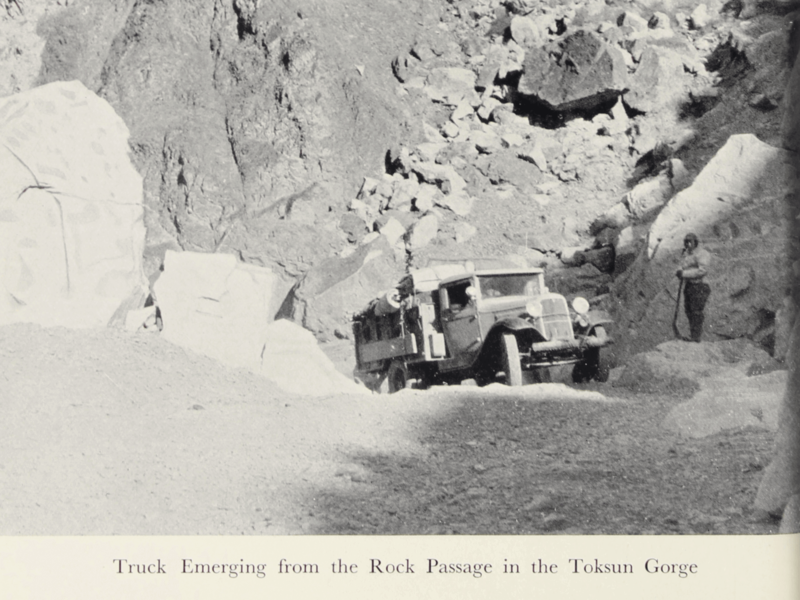 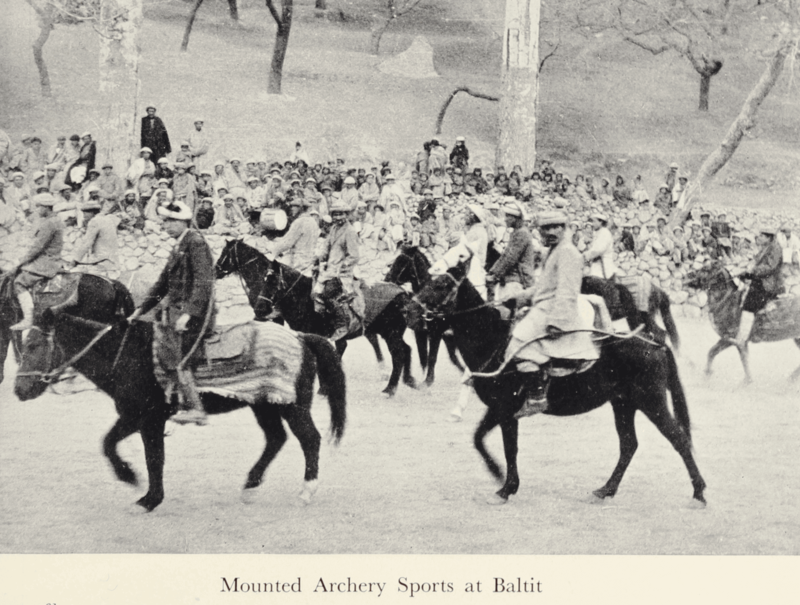 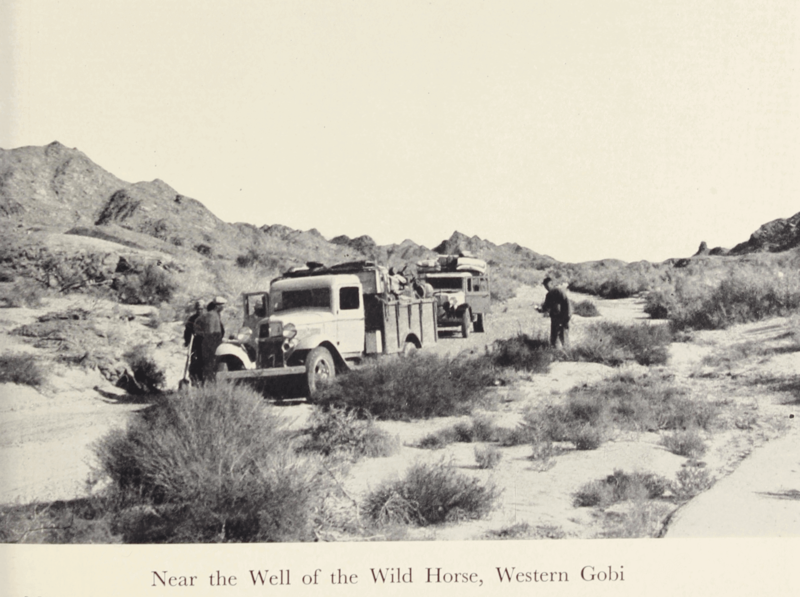 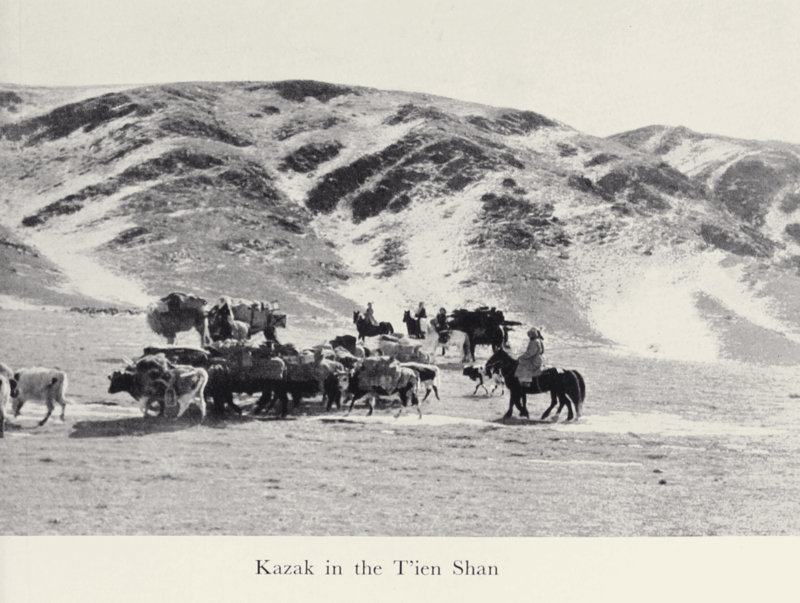 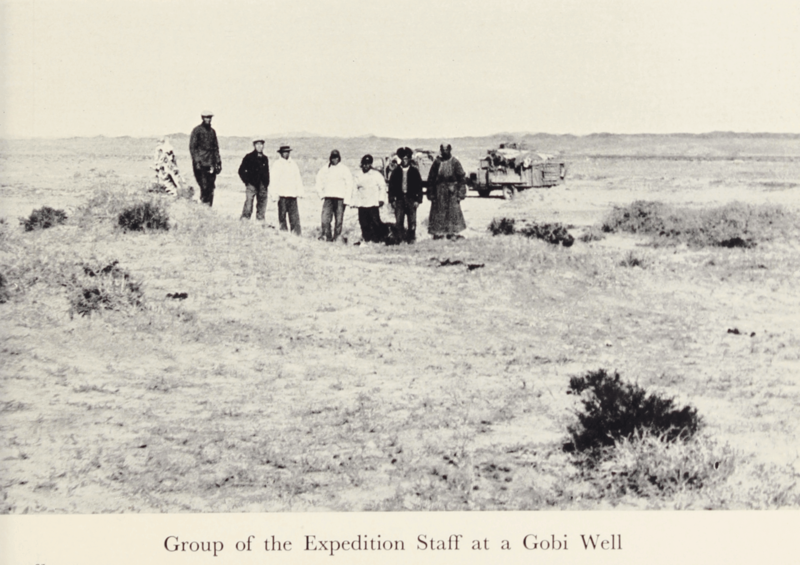 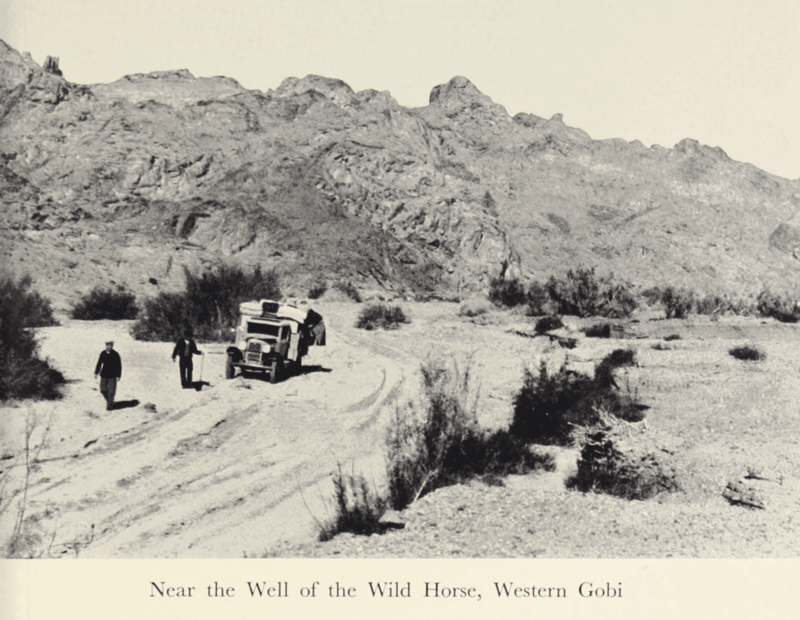 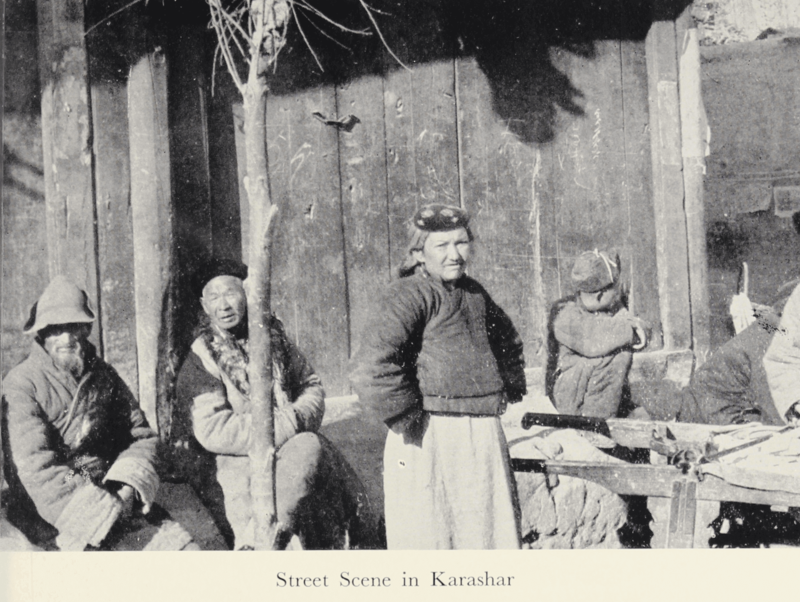 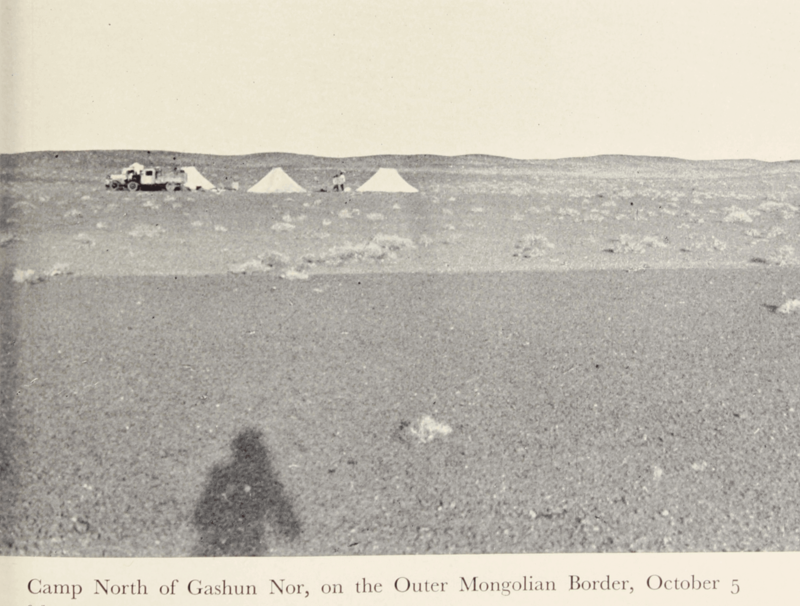 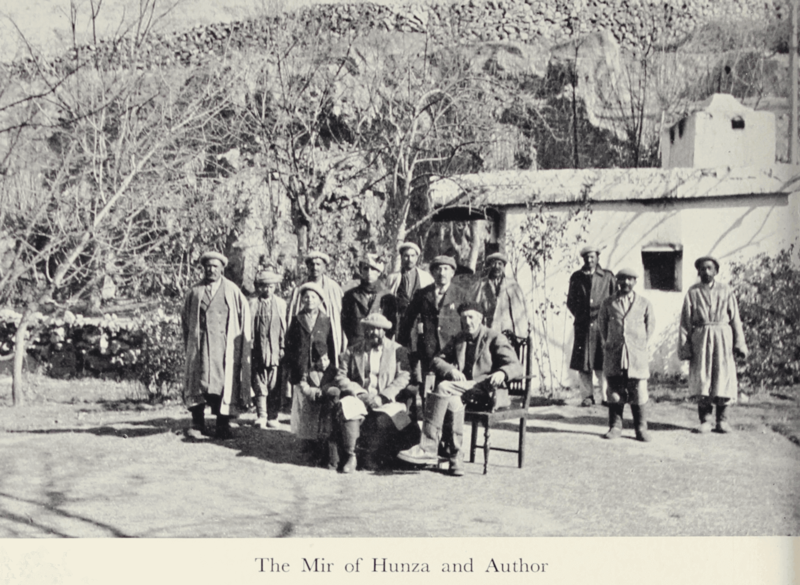 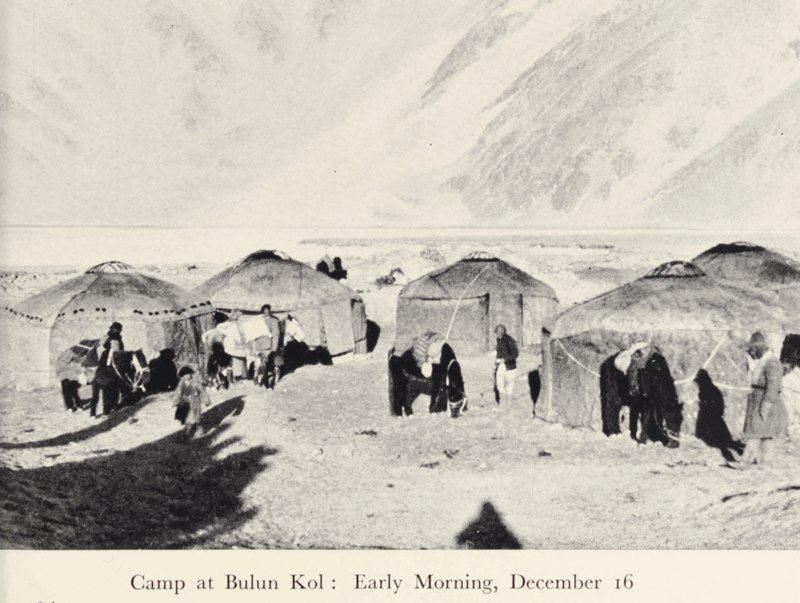 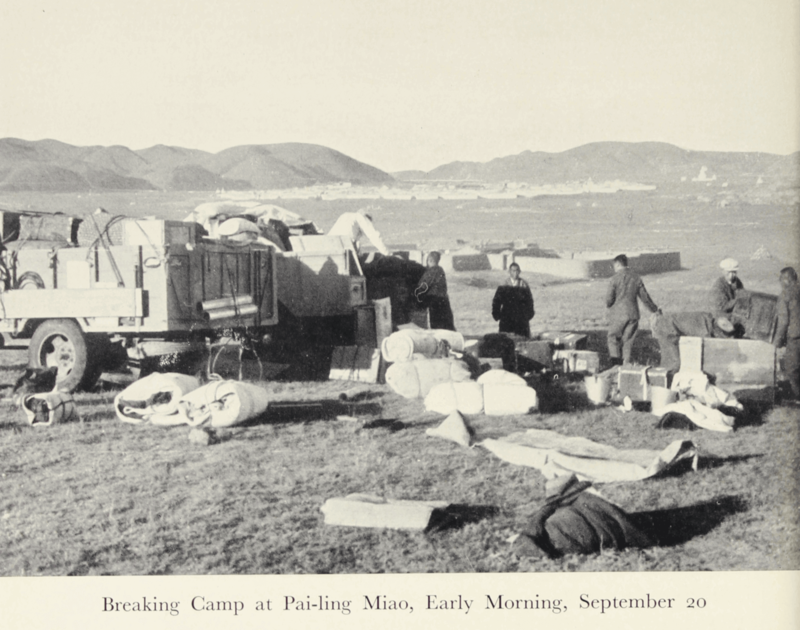 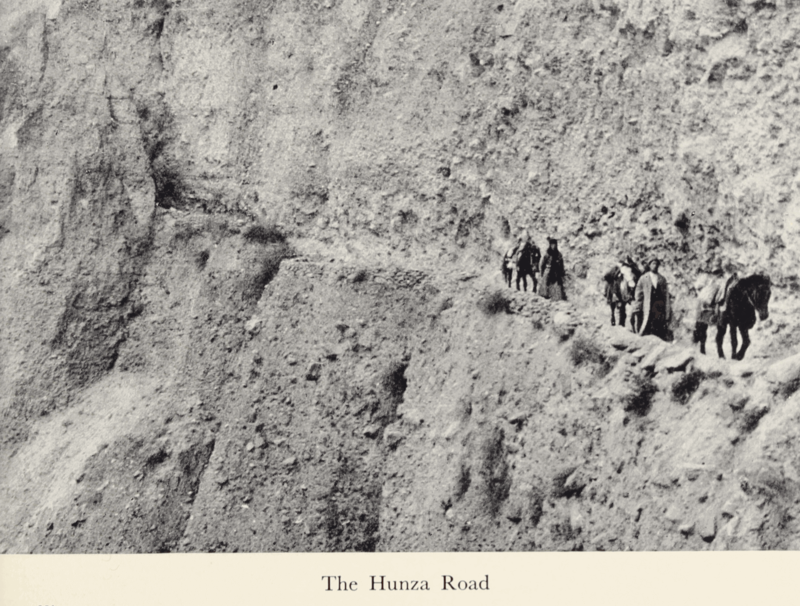 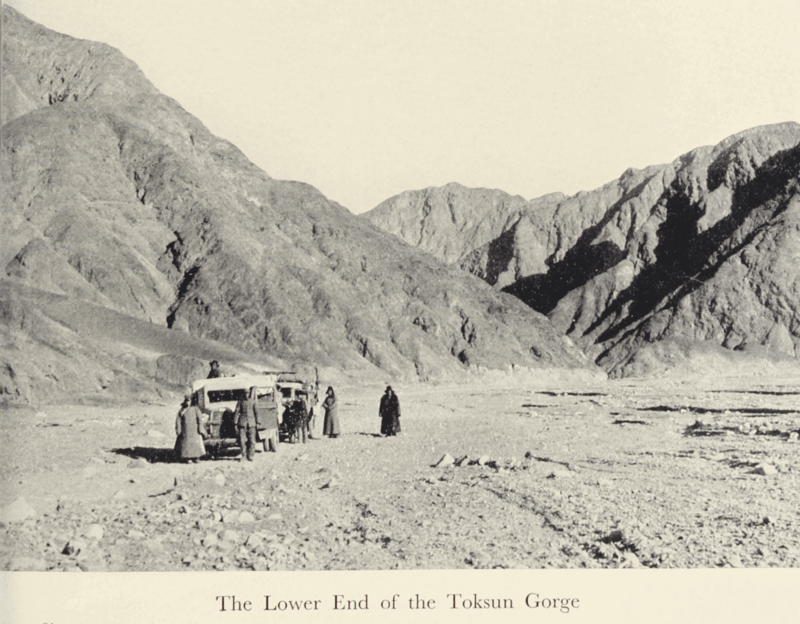 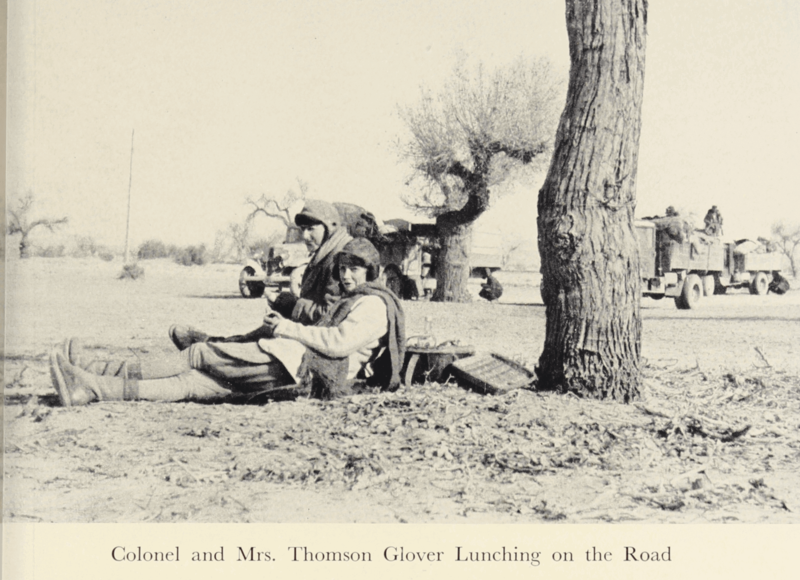 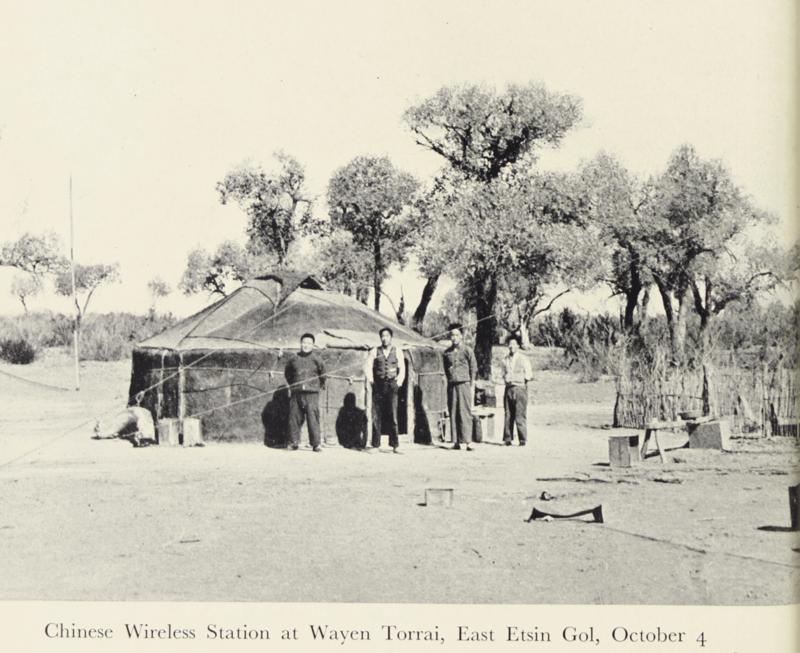 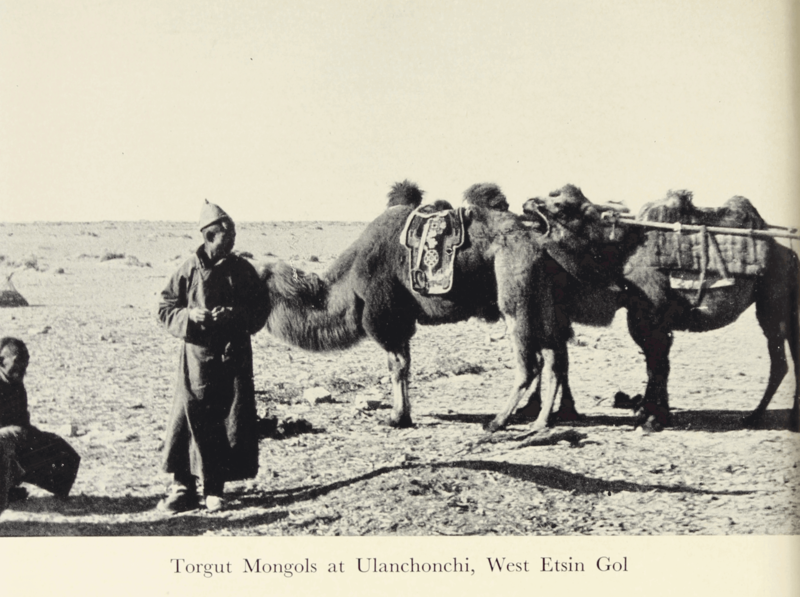 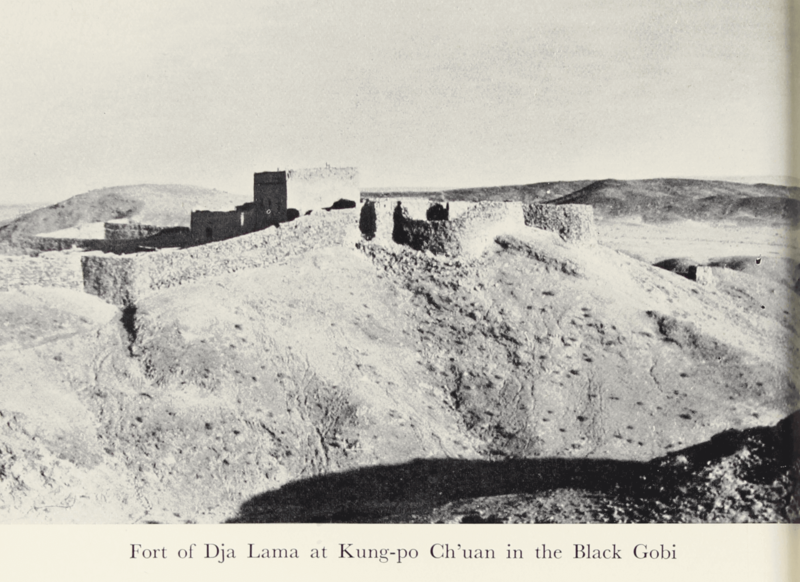 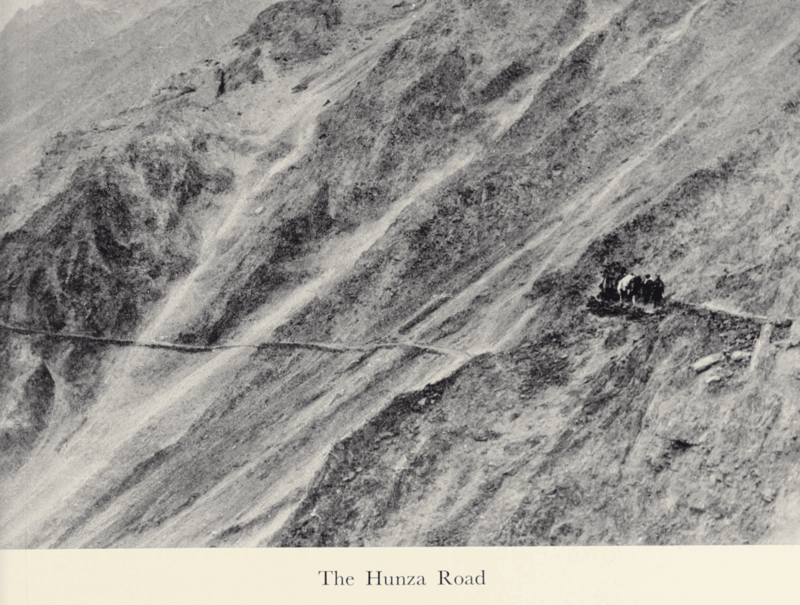 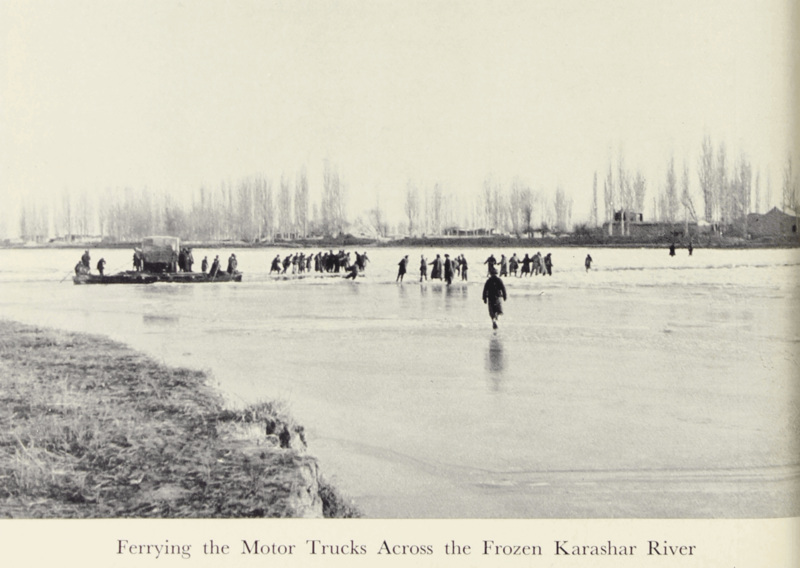 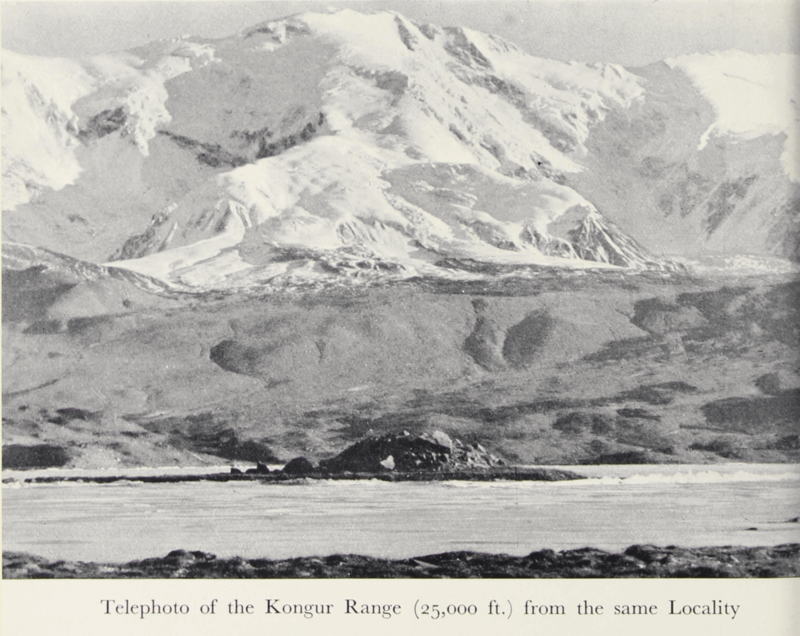 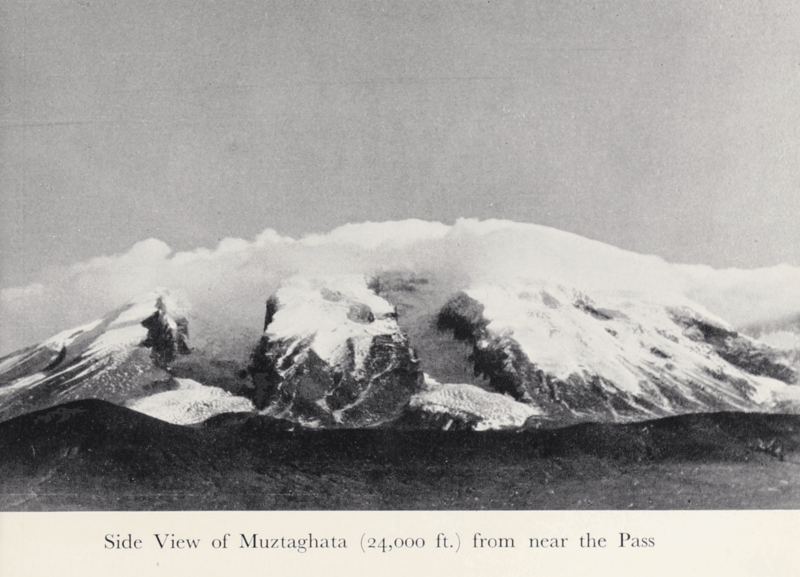 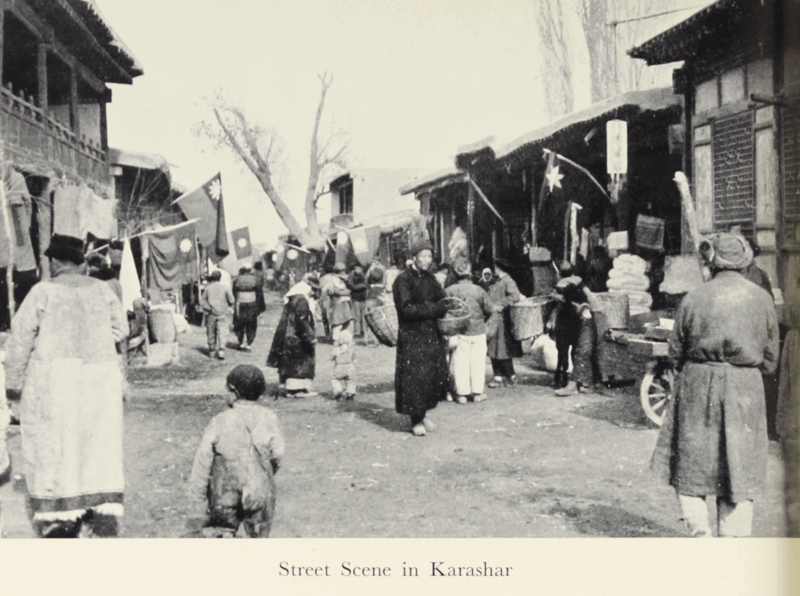 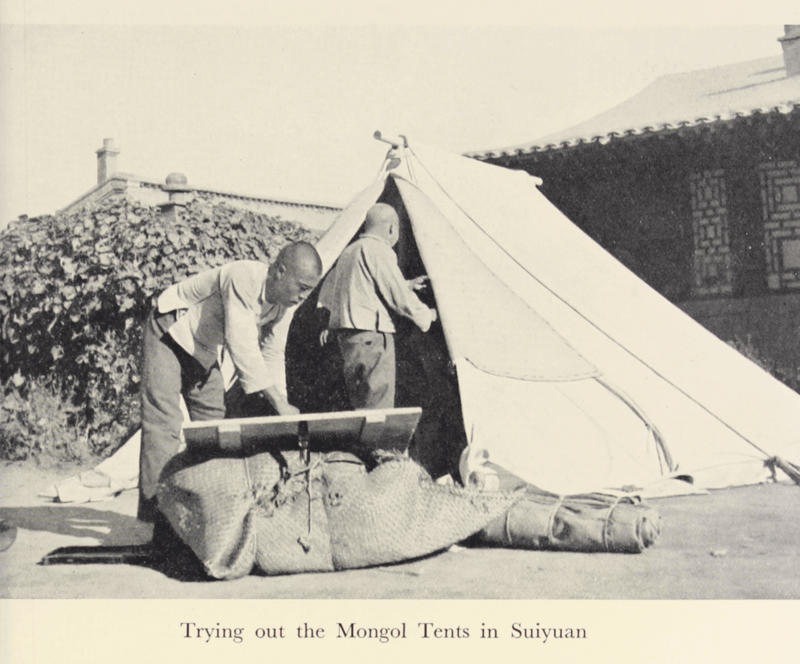 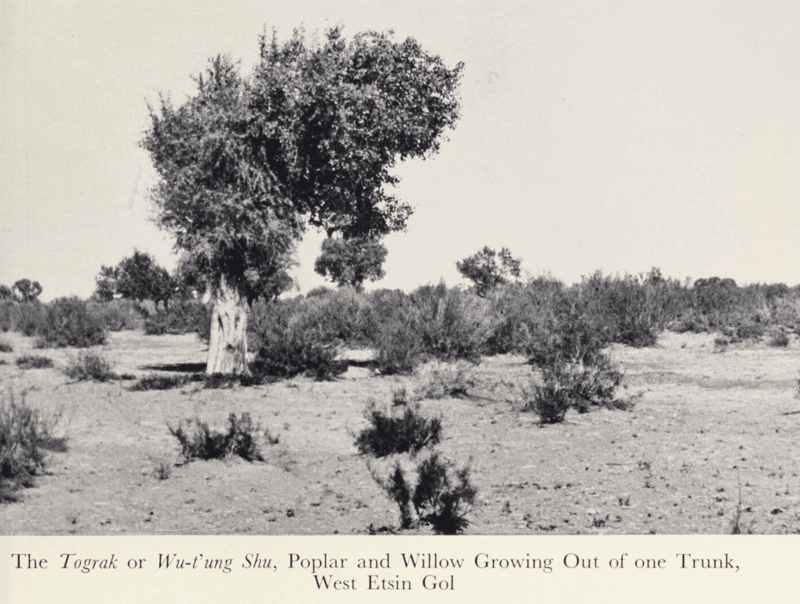 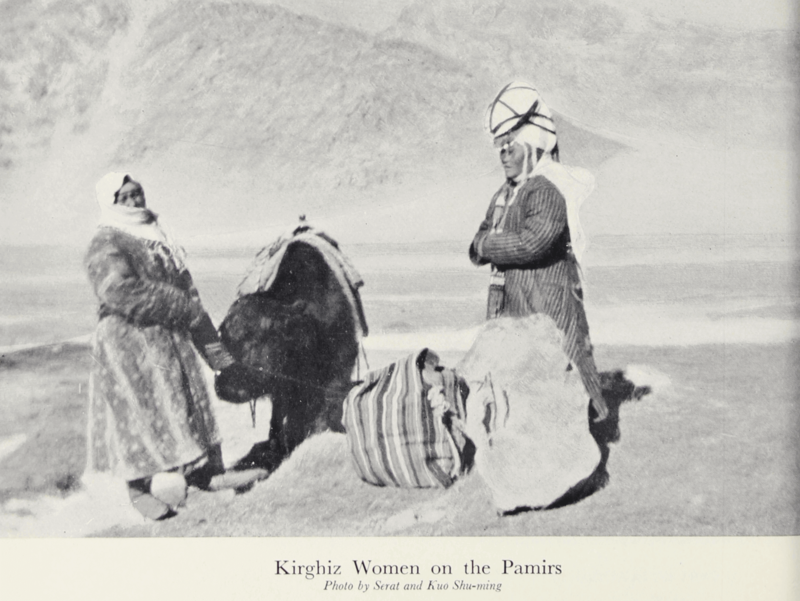 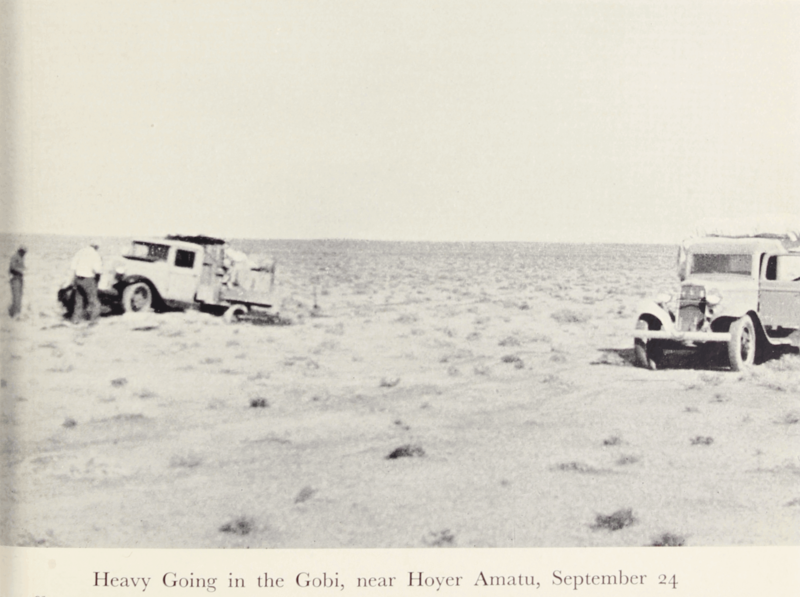 The book has an appendix containing an itinerary of the motor route from Beijing to Kashgar. 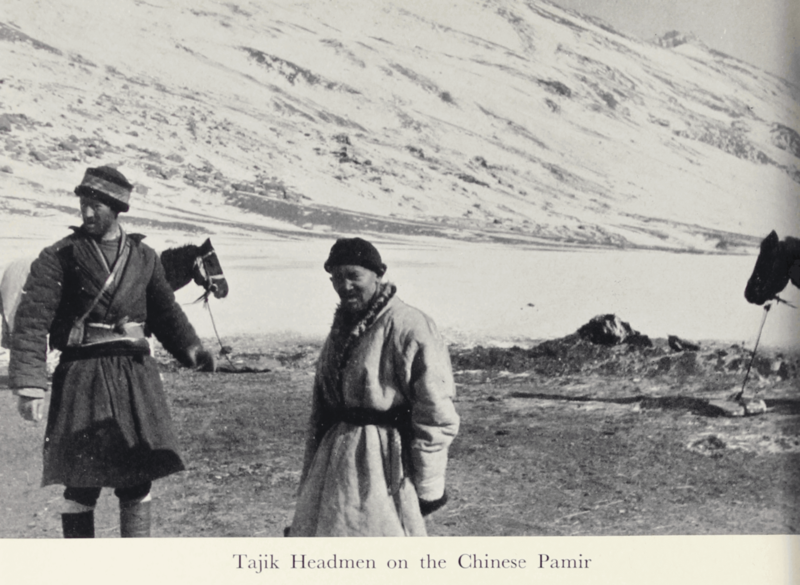 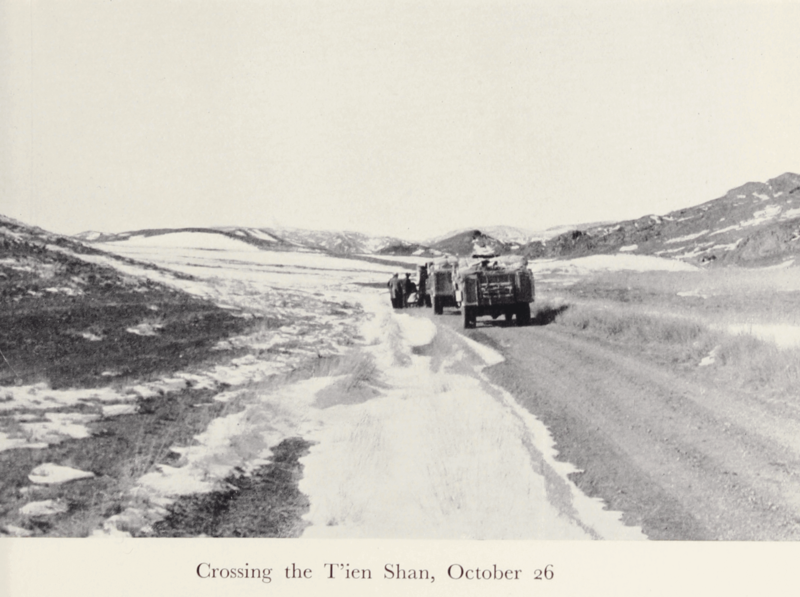 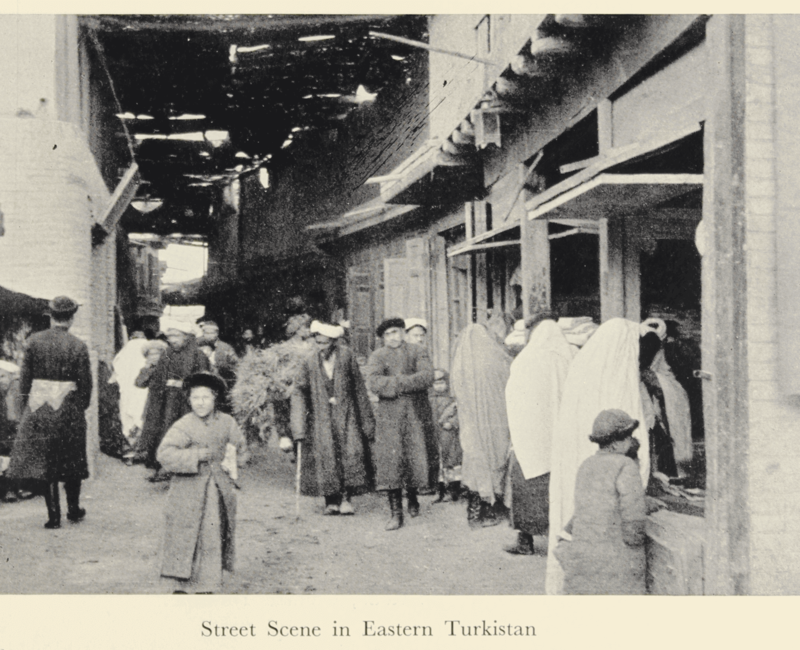 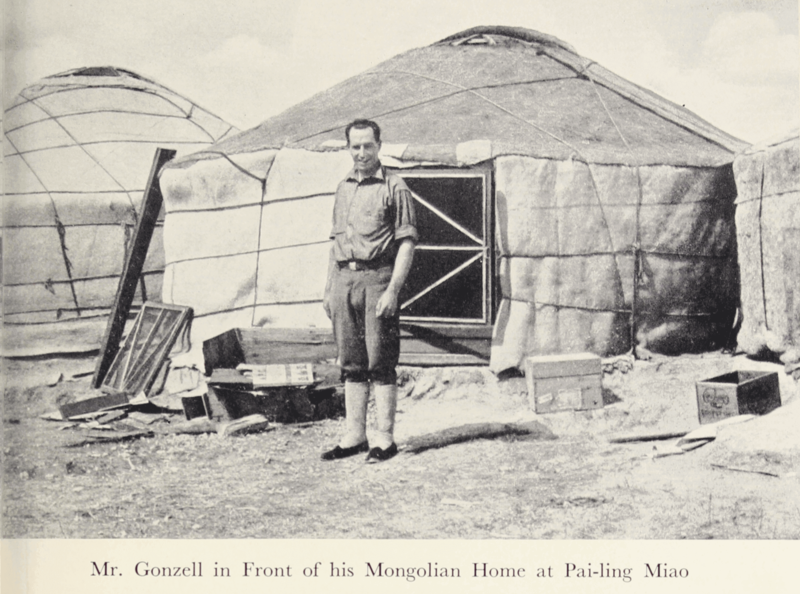 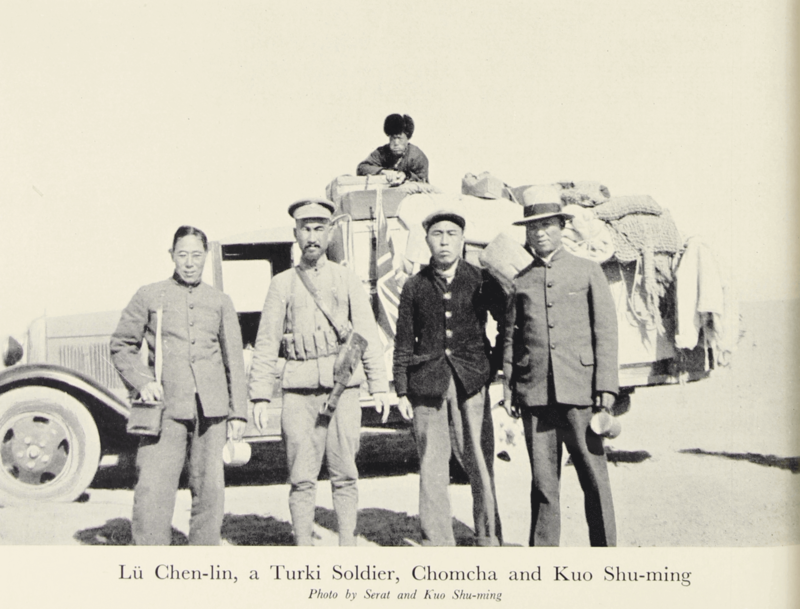 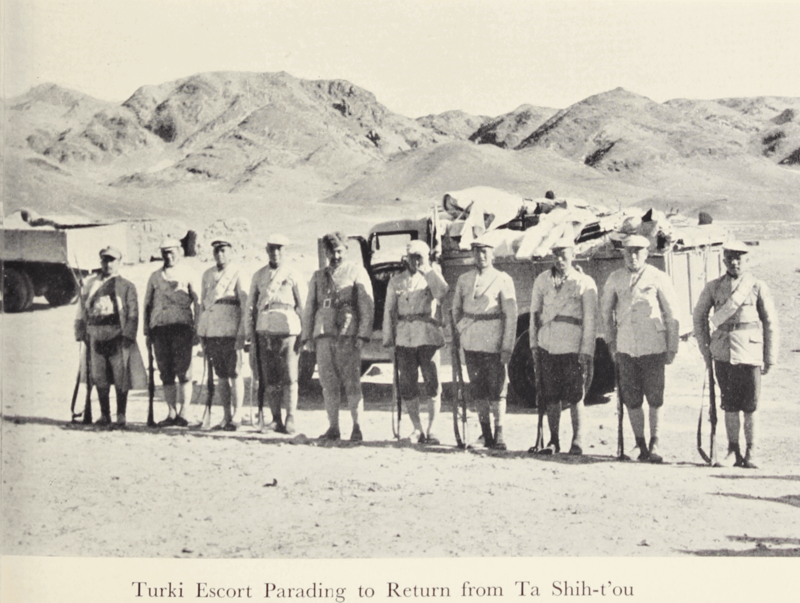 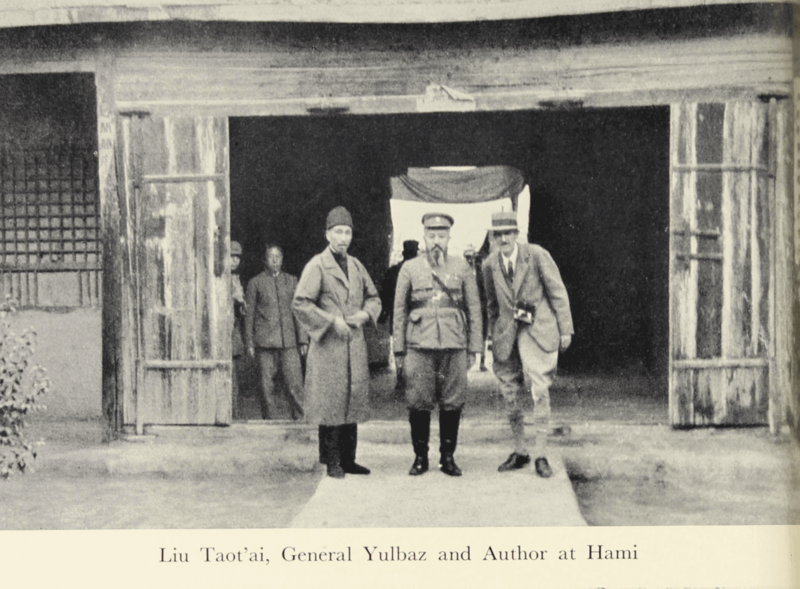 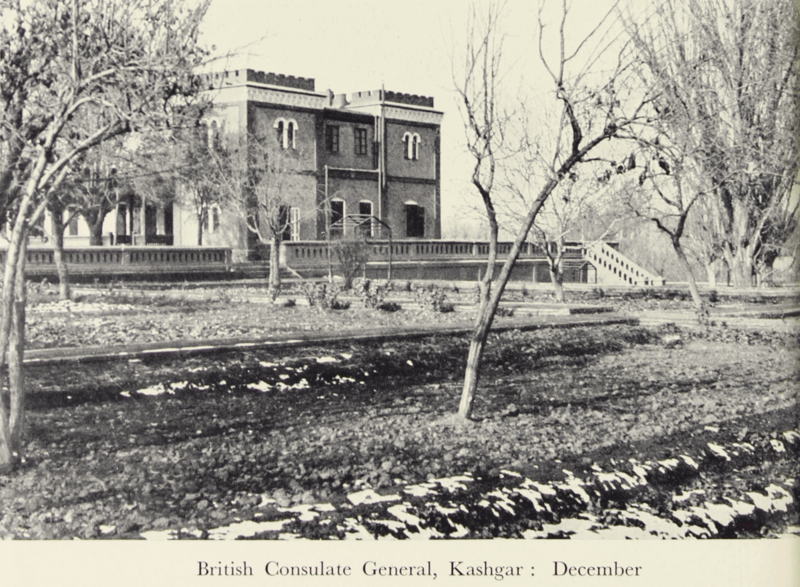 In 1935 the British Consul Eric Teichman leaves his post in Beijing and sets out for Chinese Turkestan, before returning to England through India. 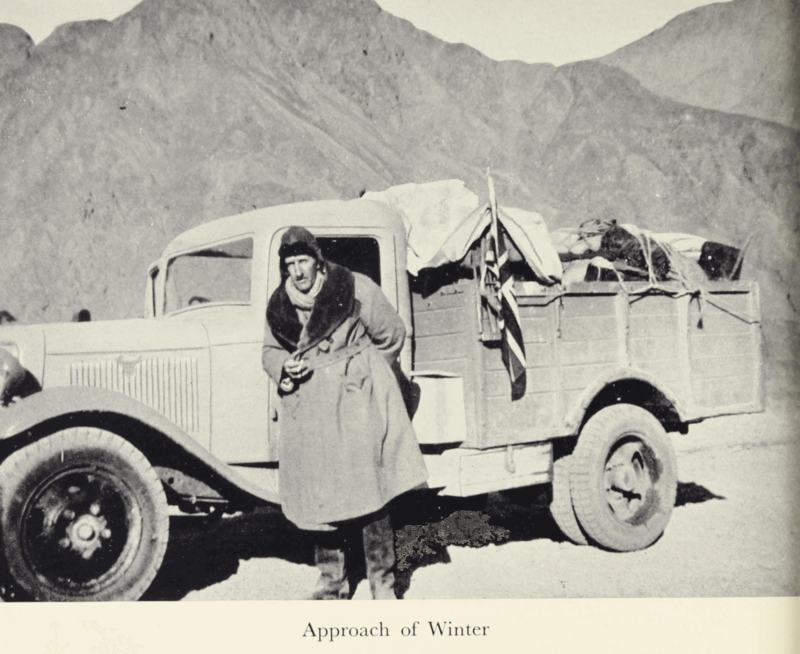 His journey from Beijing to India lasts for four months. 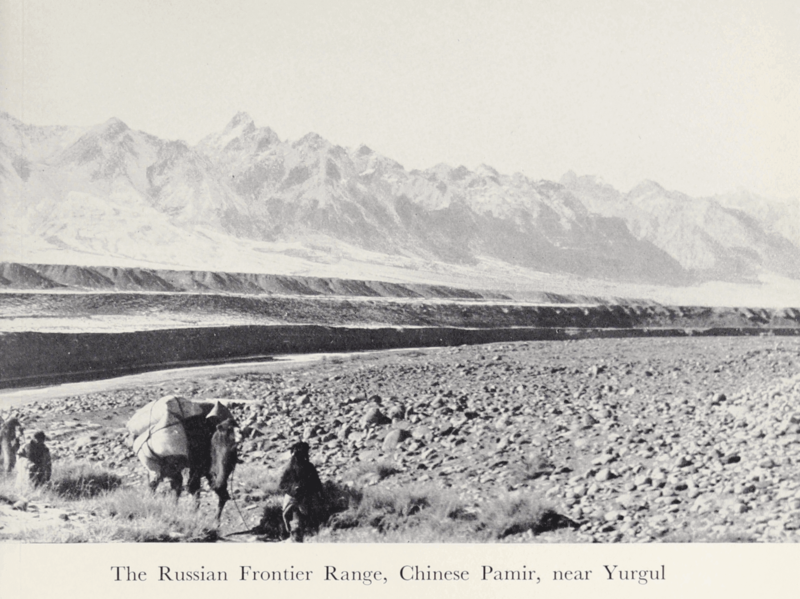 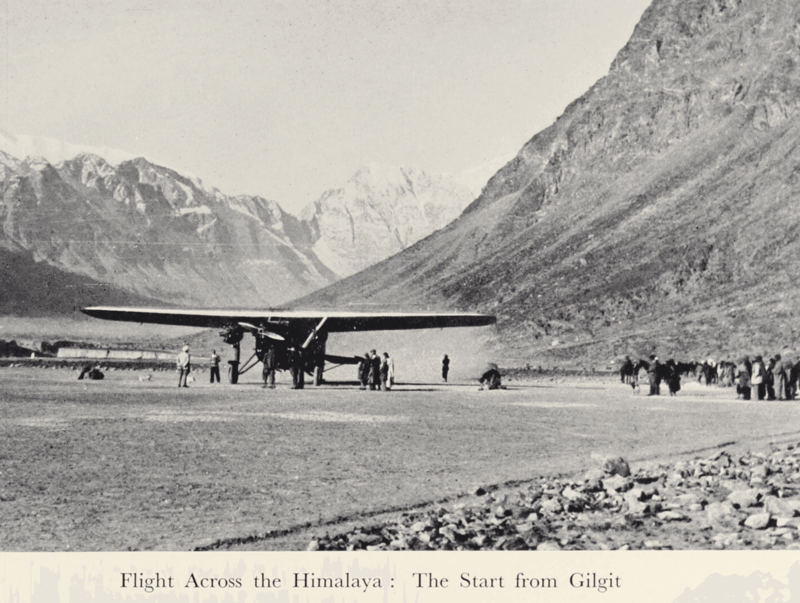 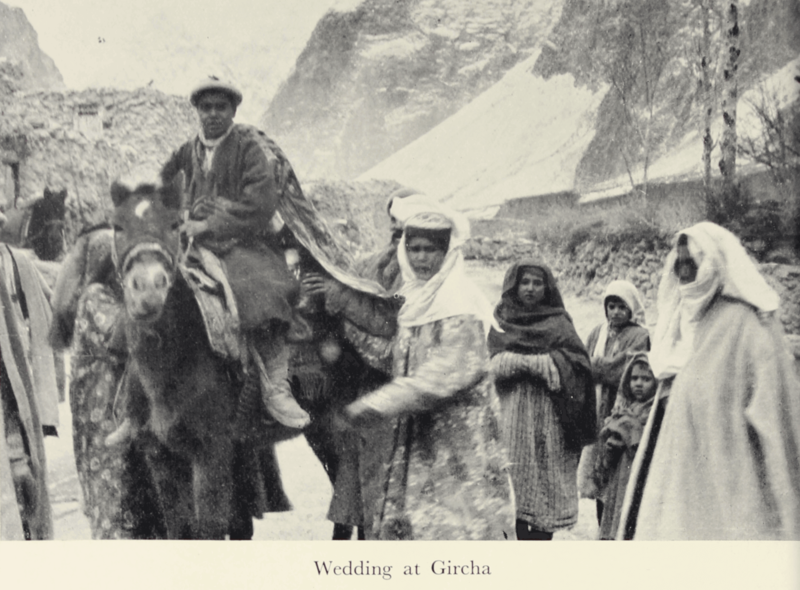 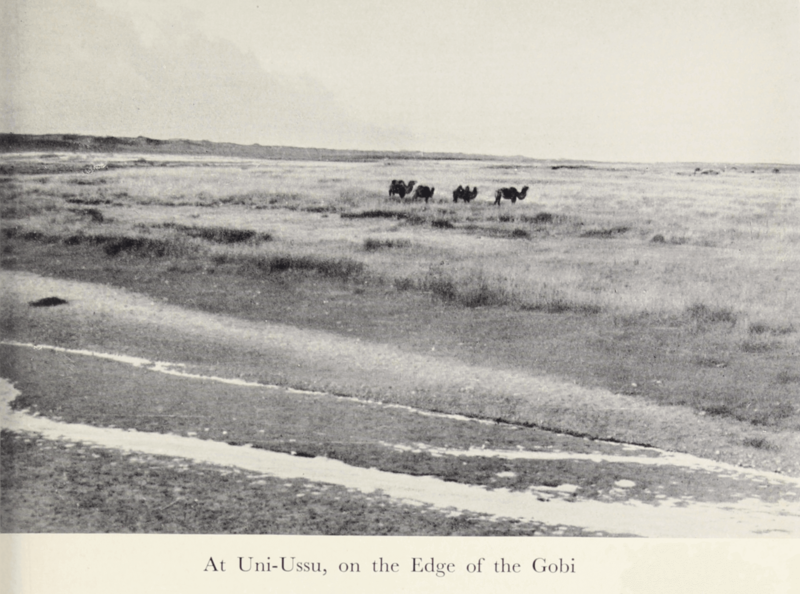 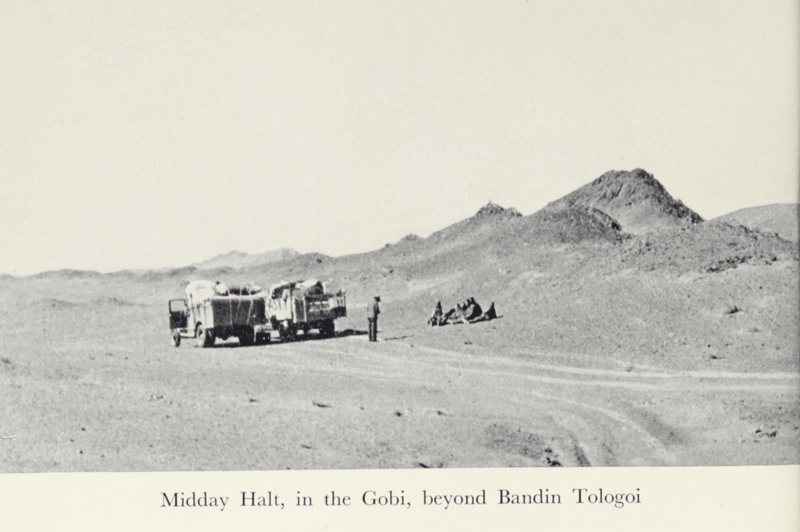 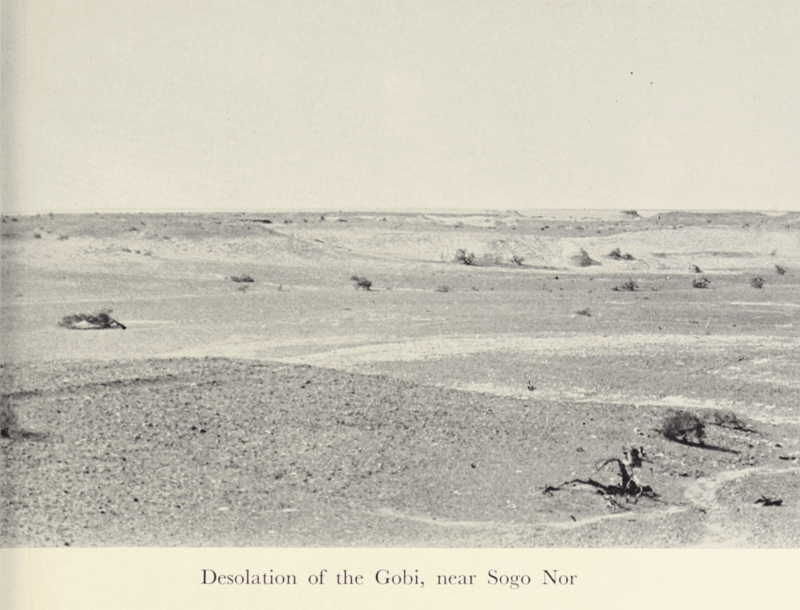 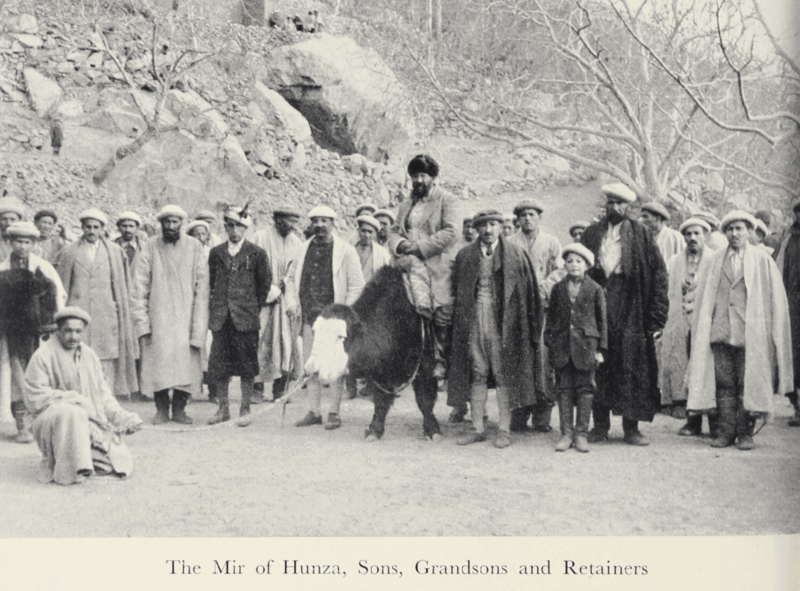 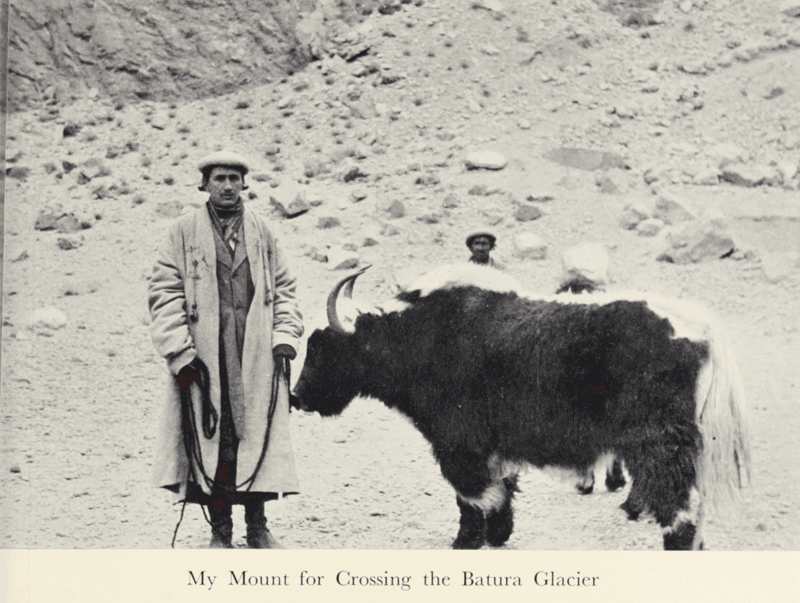 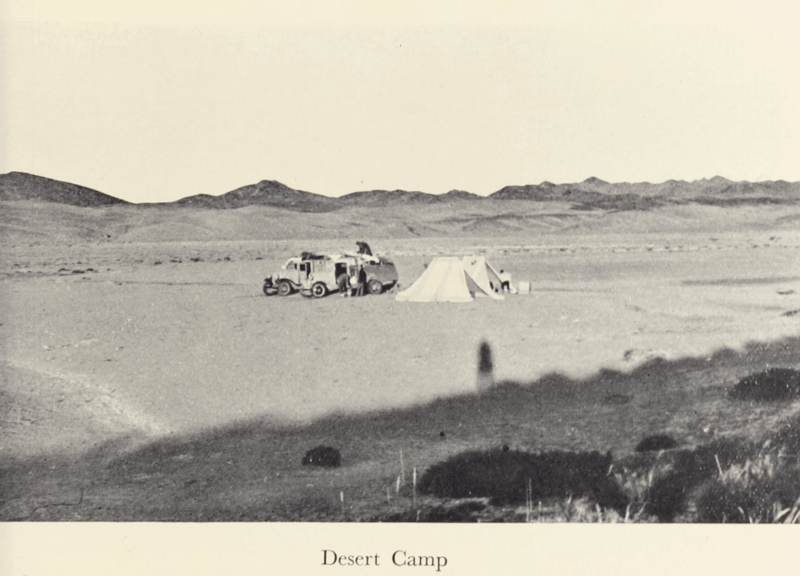 He crosses Suiyuan by train and travels through Inner and Outer Mongolia, the Gobi desert, Hami, Urumchi, Turfan, and Karashar on a motor truck, from Kashgar to Gilgit on horseback and on foot, and finally takes a plane to Delhi. 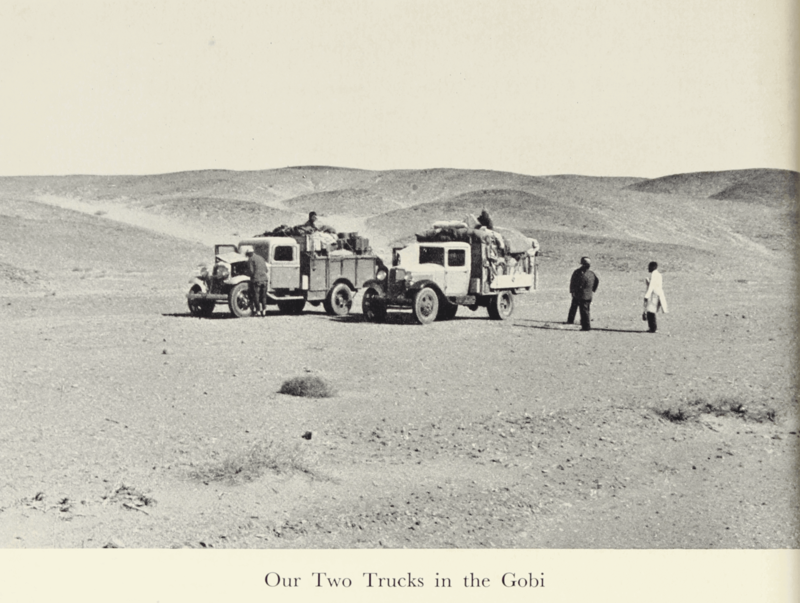 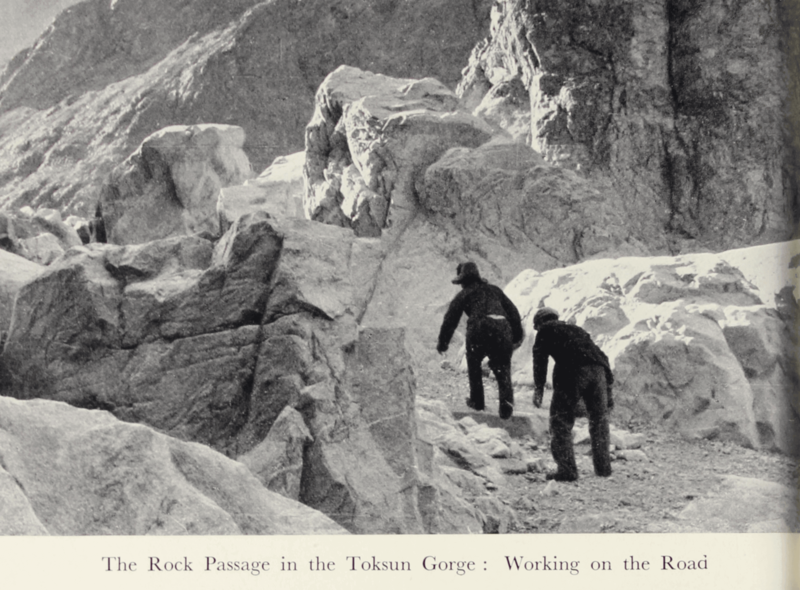 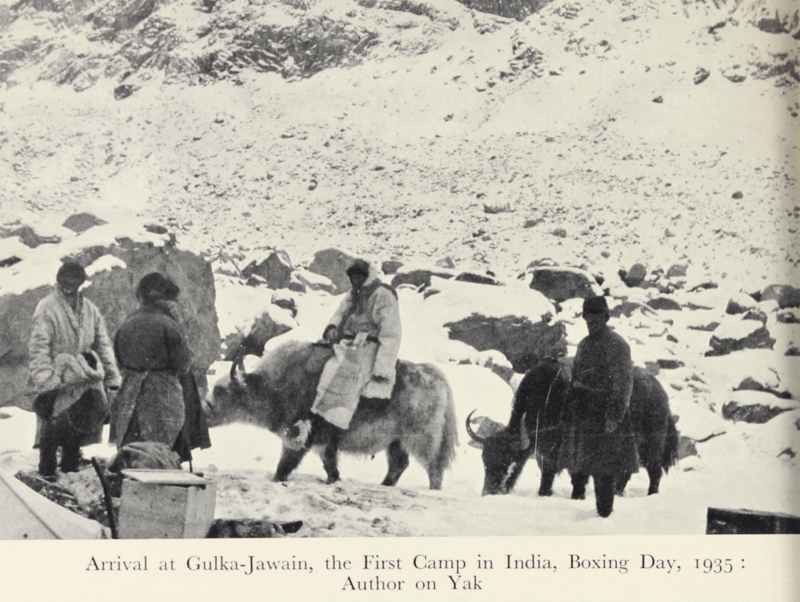 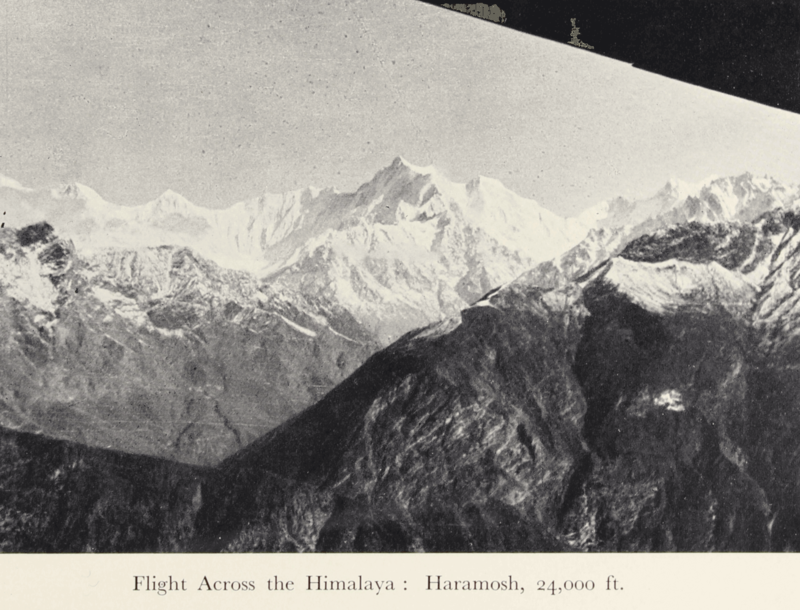 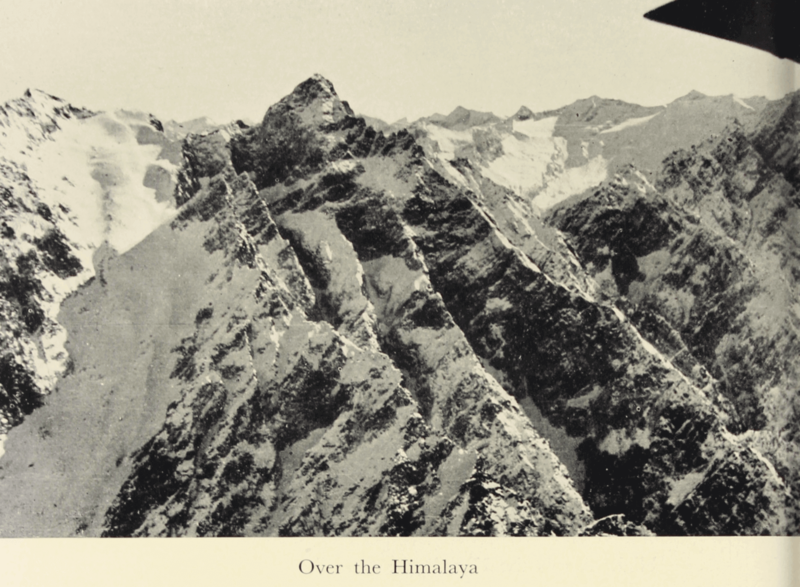 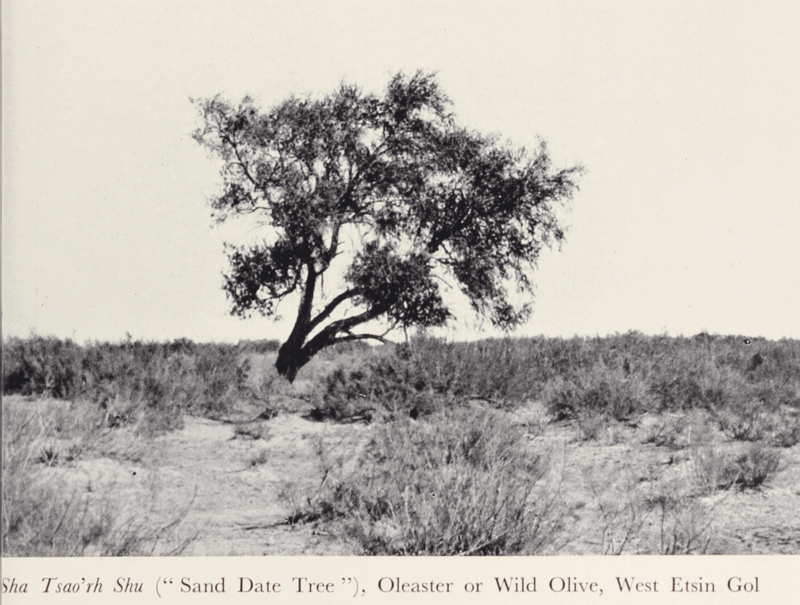 A great number of photographs taken during this journey are to be found in the book. 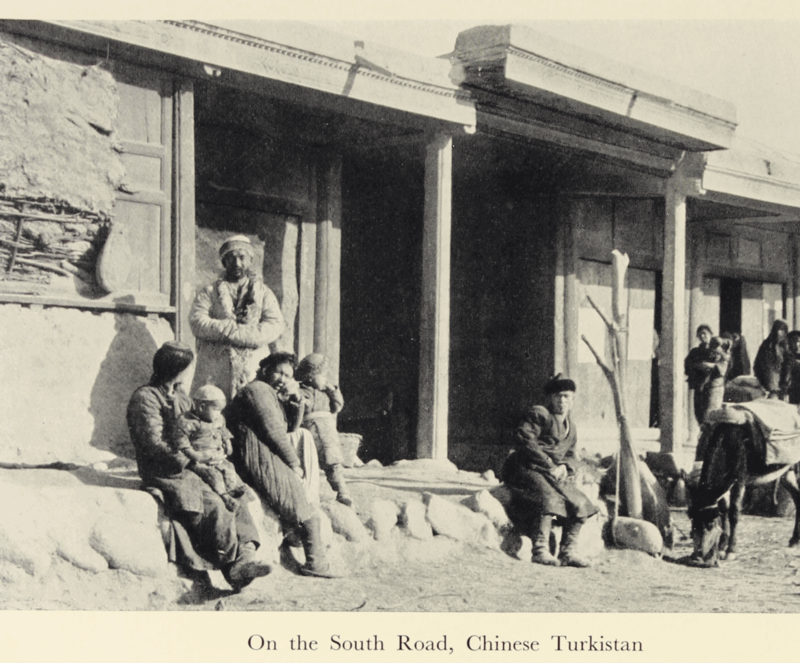 In an introductory chapter about Chinese Turkestan, Teichman summarizes the country’s geographical features, people and recent history. 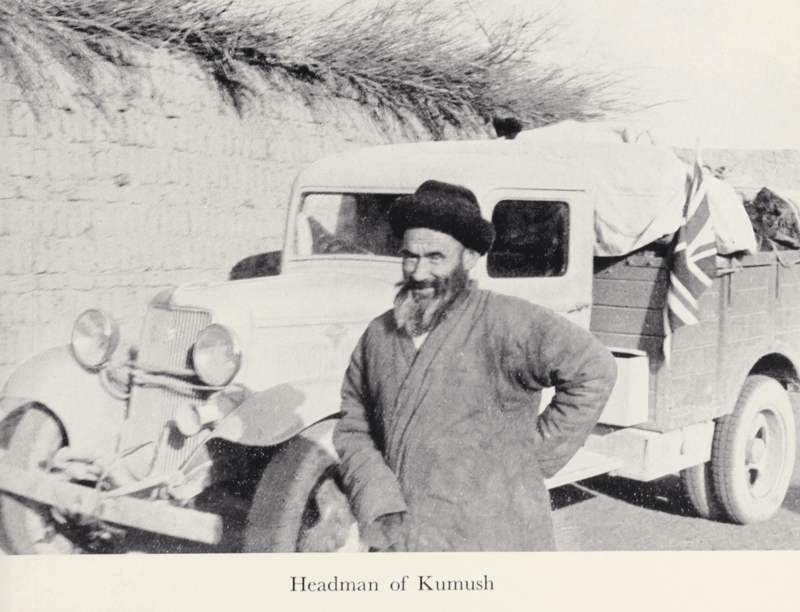 Similar surveys are given for the rest of his journey, including recent political changes in the different areas that he travels through. 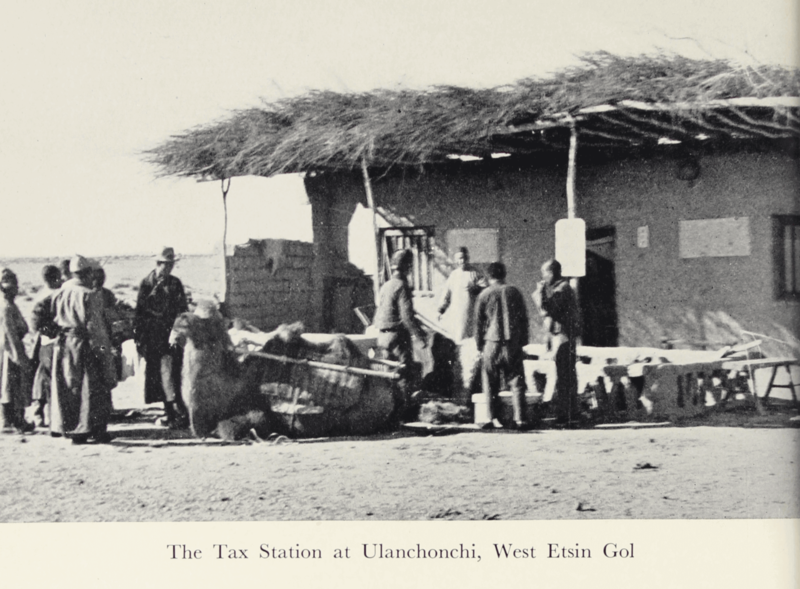 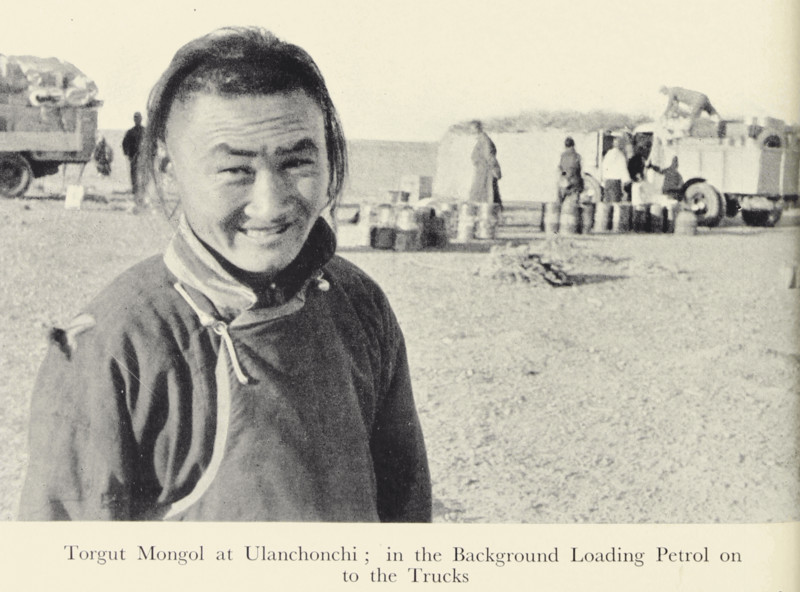 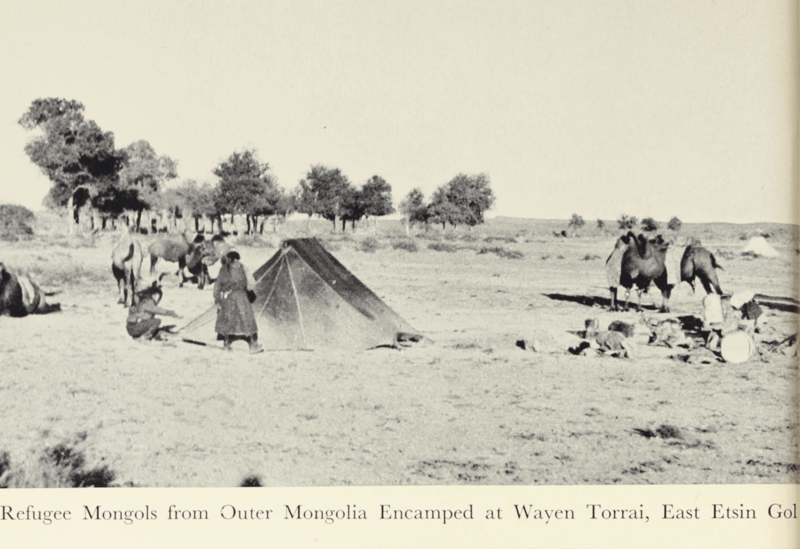 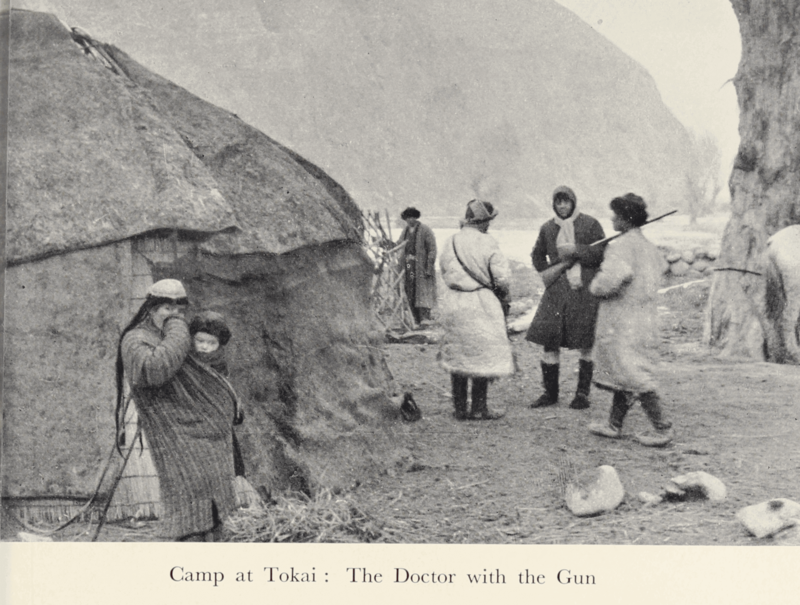 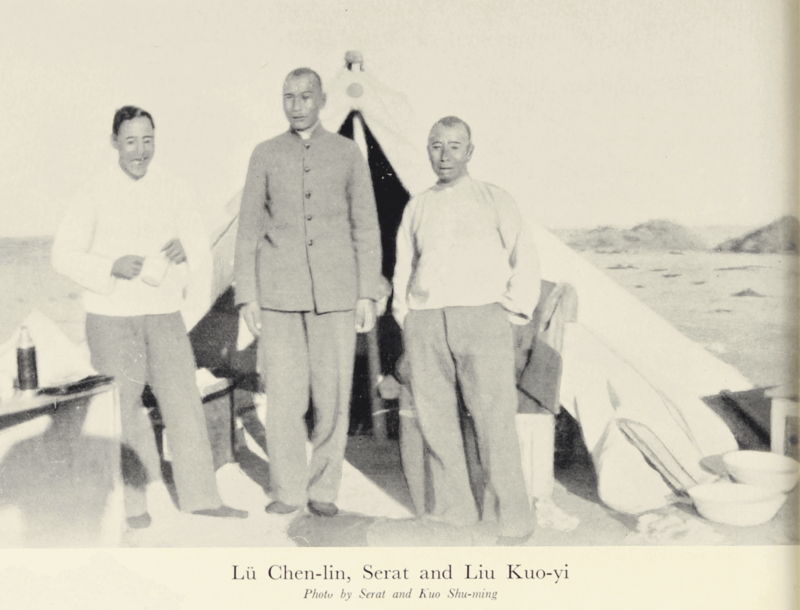 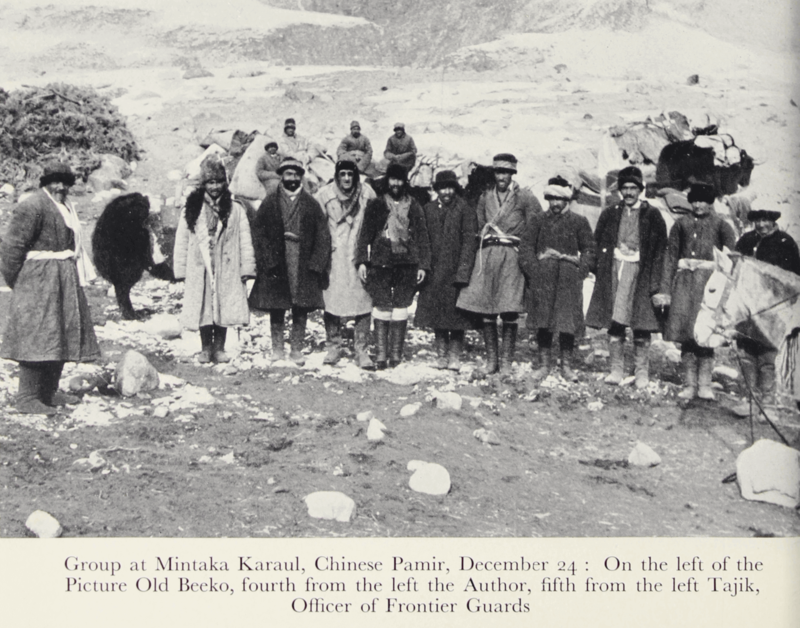 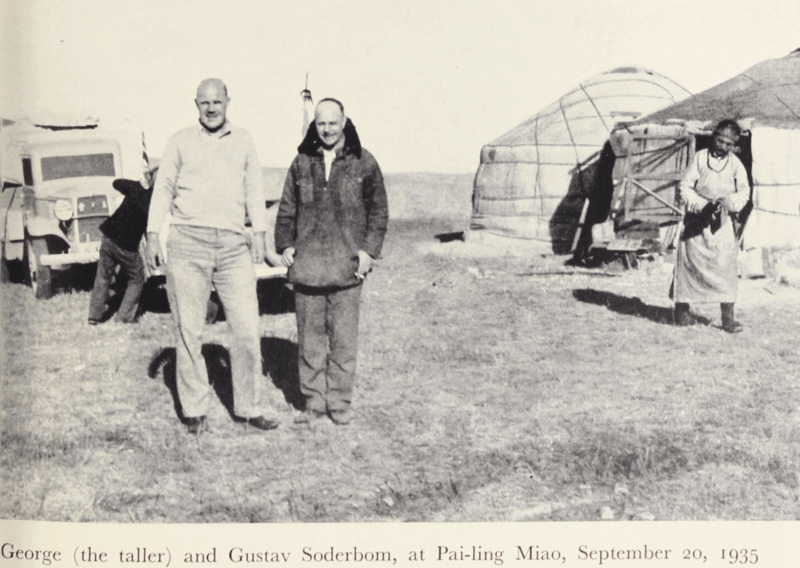 For instance, the author discusses the political status of Outer Mongolia before and after the Chinese Revolution of 1911 and after the “Great War” (i.e. 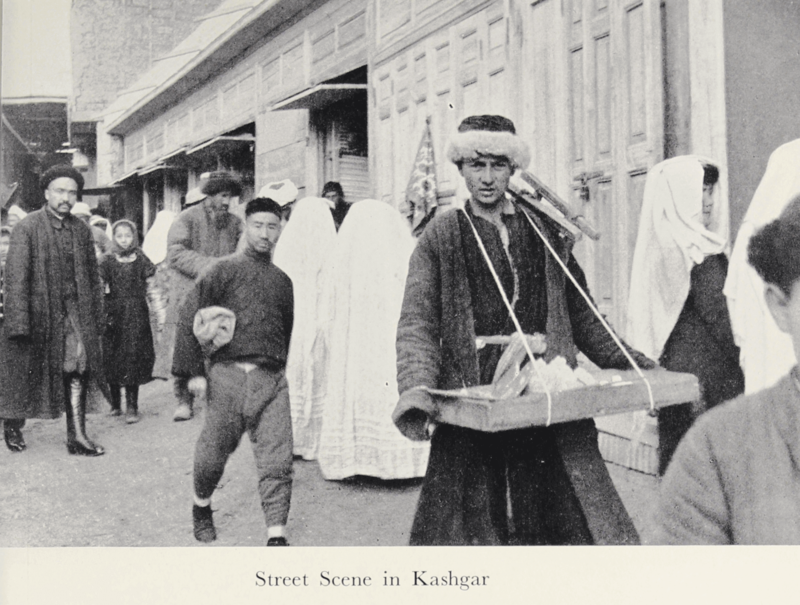 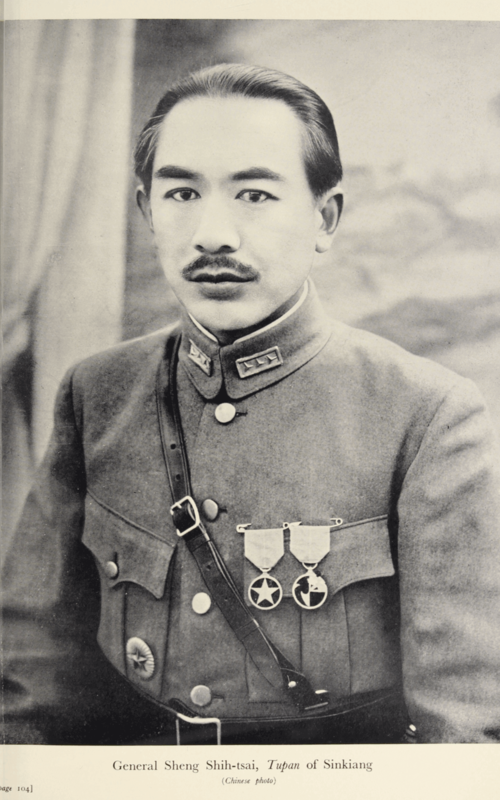 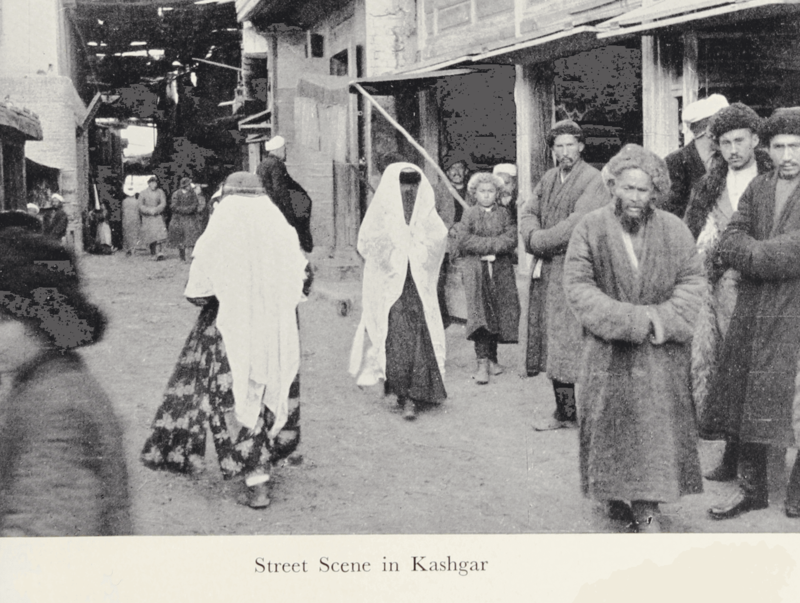 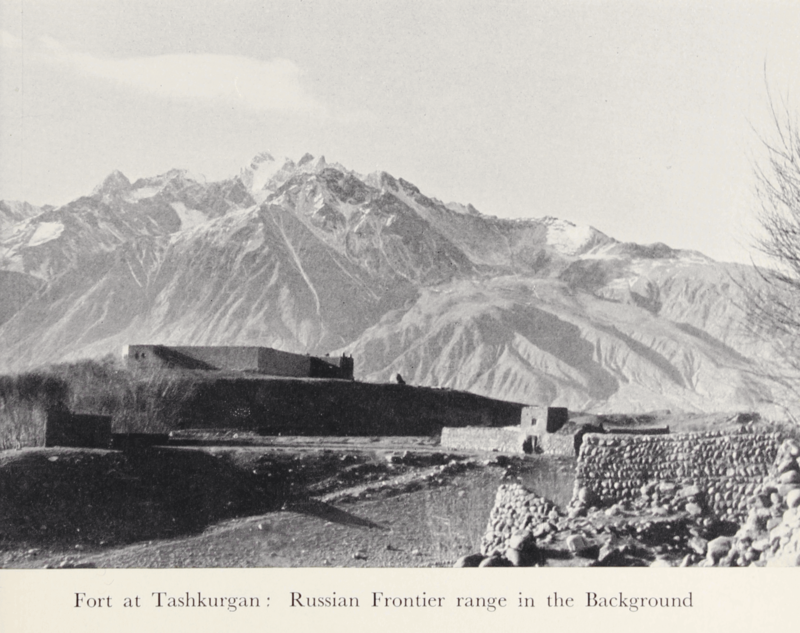 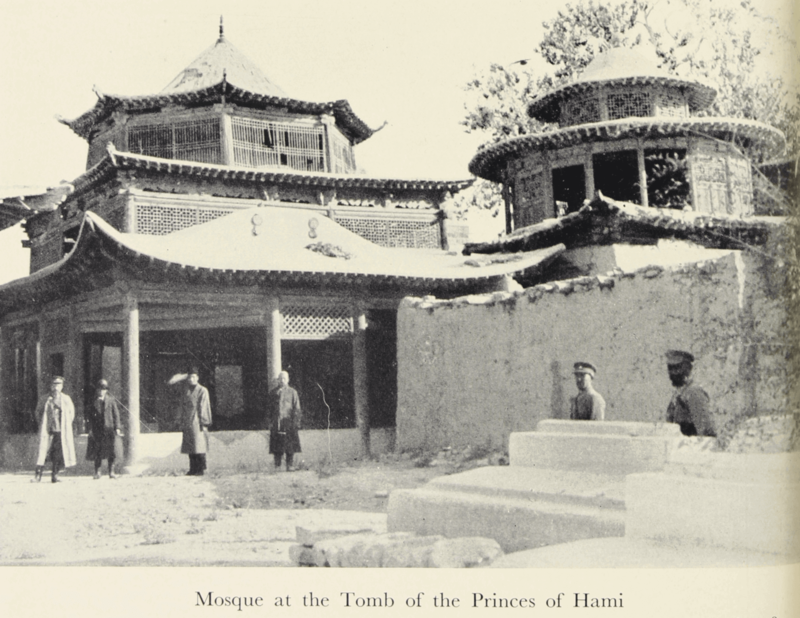 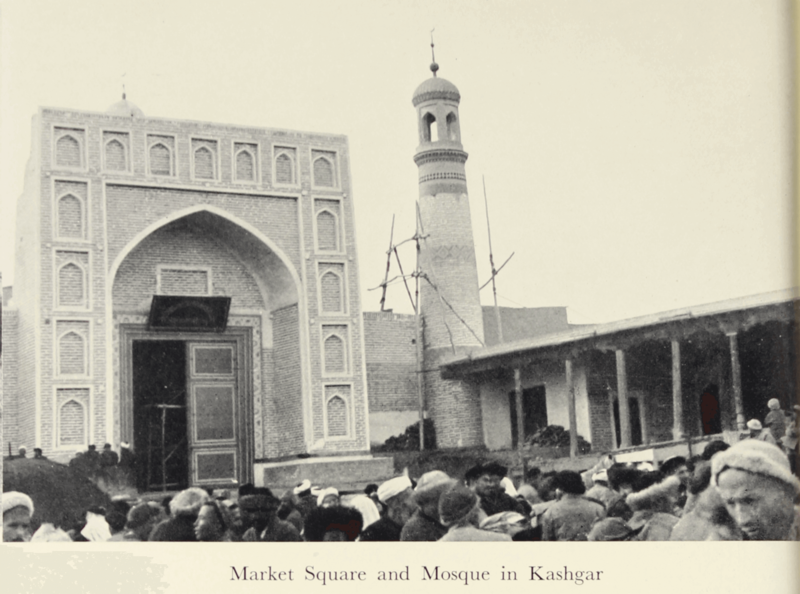 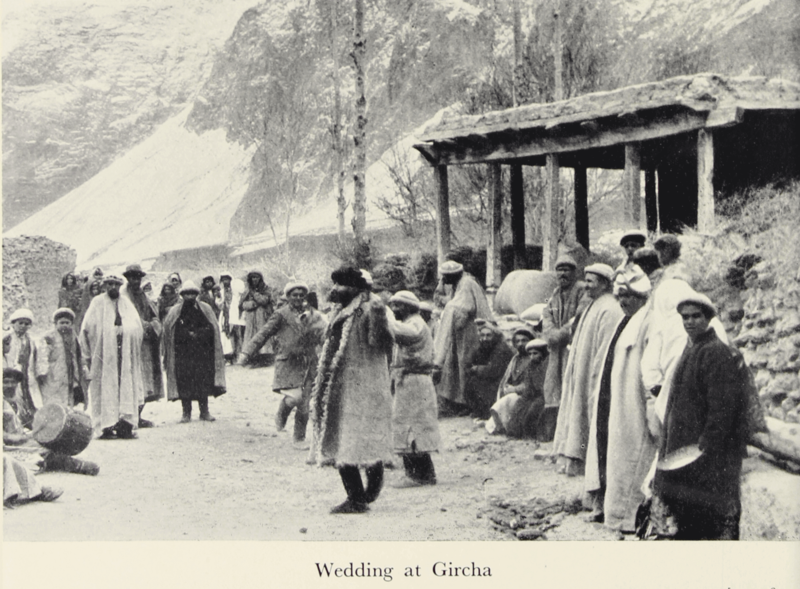 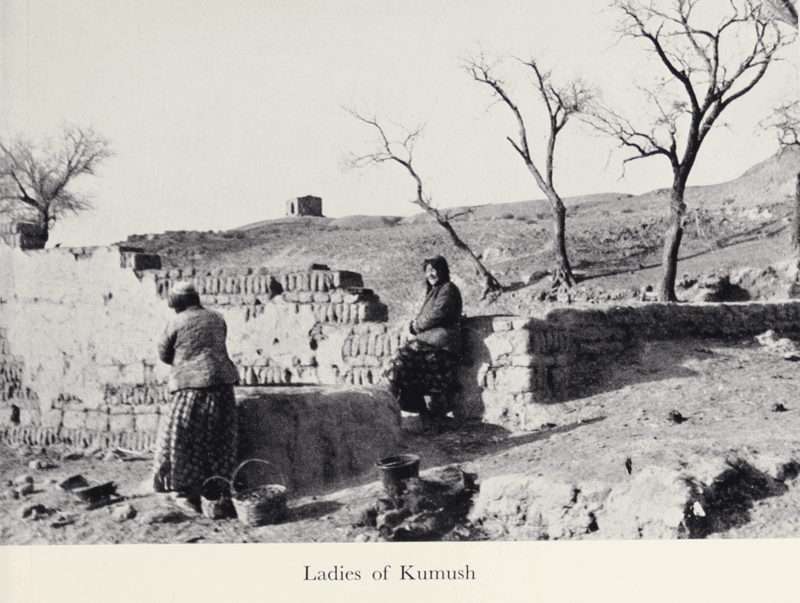 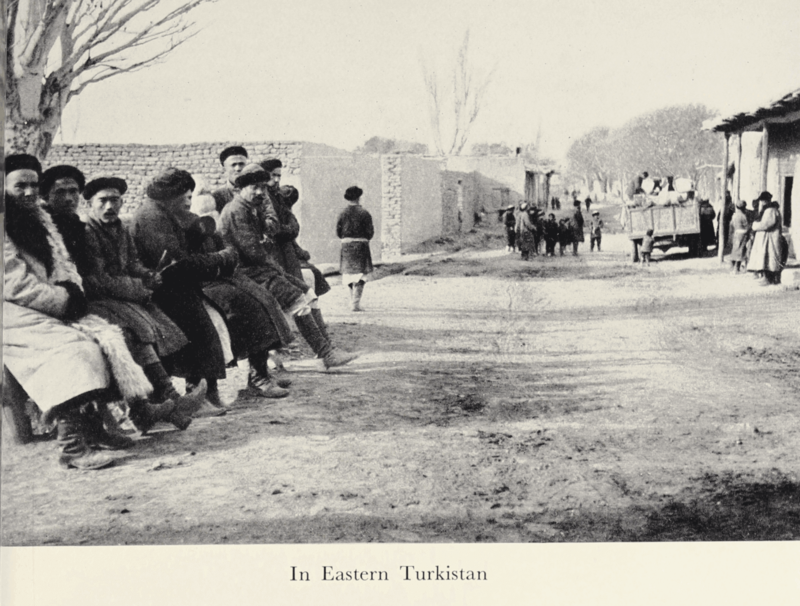 WWI), the impact of Chinese and Russian policies on Central Asia, the Tungan attack in Urumchi in 1933, and the Muslim rebellion and the reinstatement of Chinese rule in Kashgar. 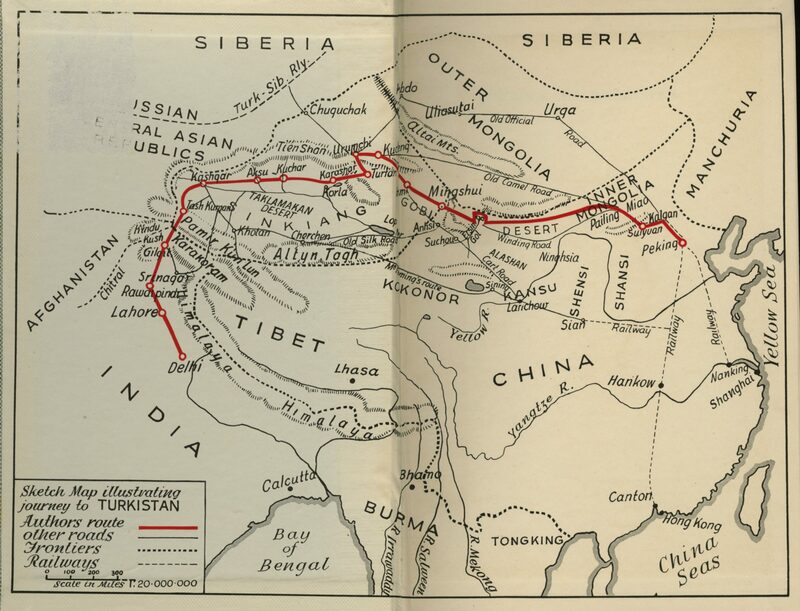 Two maps can be found in the appendix, one displaying the author’s travel route in Chinese Turkestan and the other the motor route from Beijing to Kashgar.